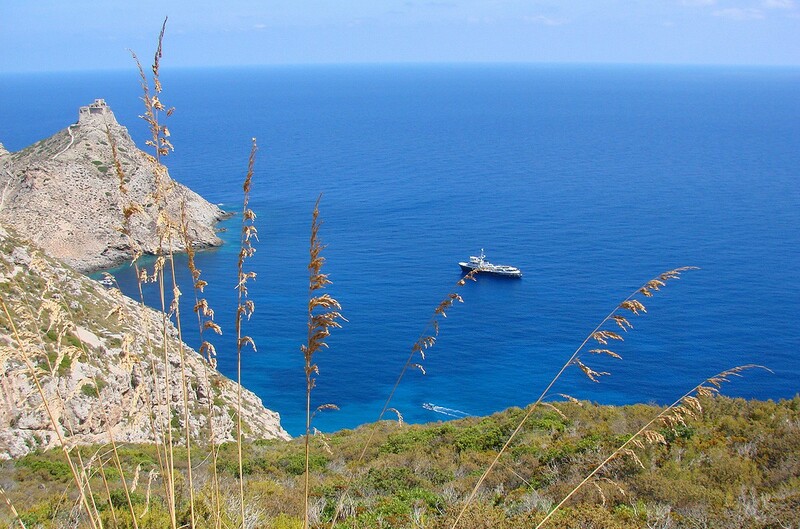 Anastassiades & Tsortanides Shipyard in 1970 as a seagoing salvage tug. 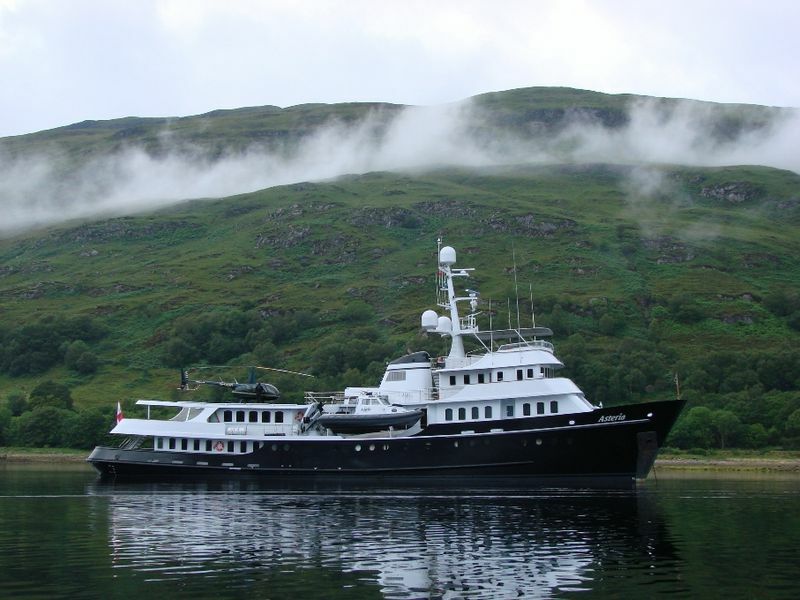 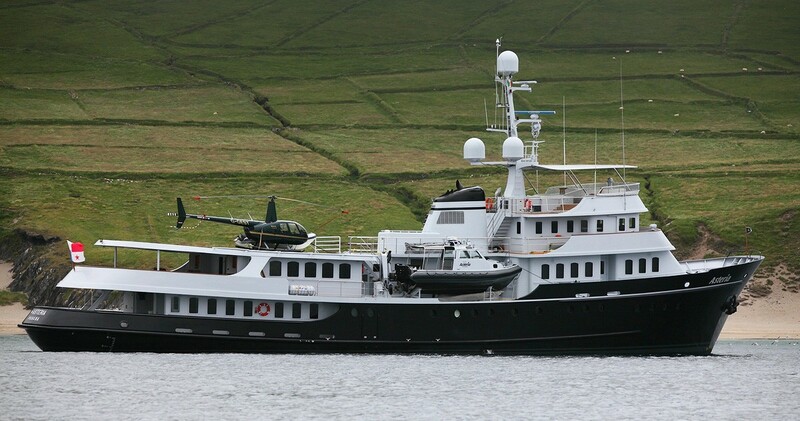 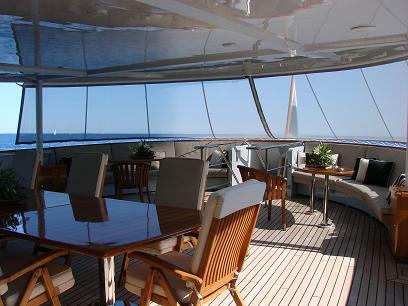 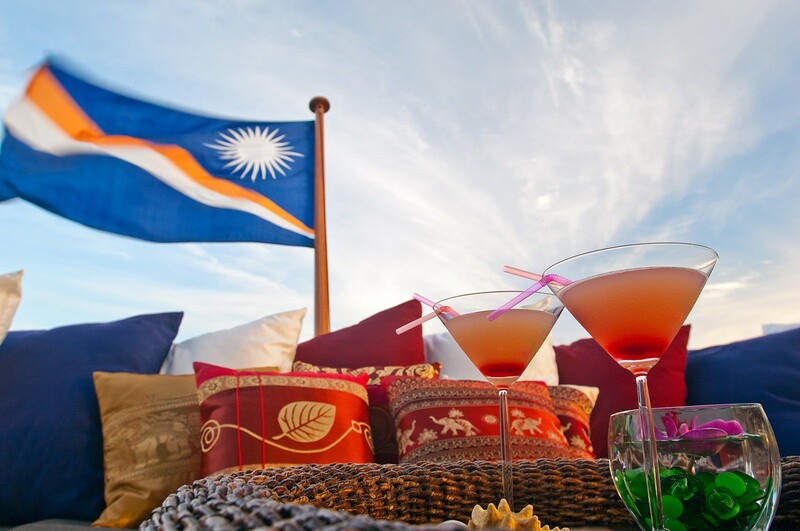 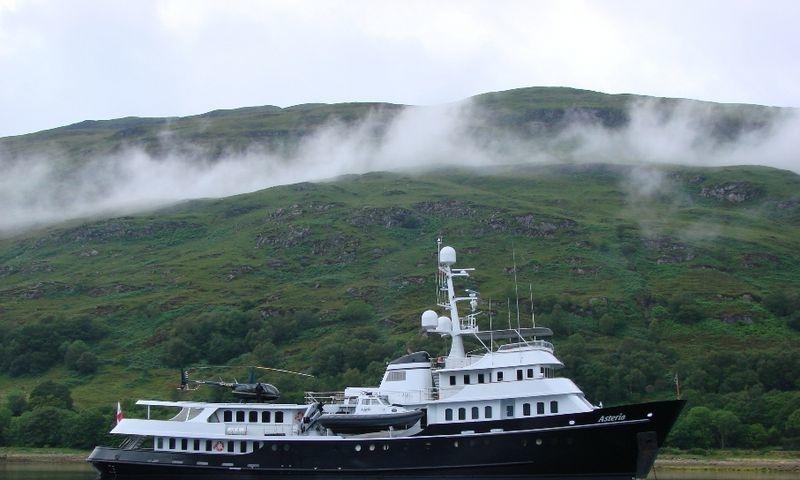 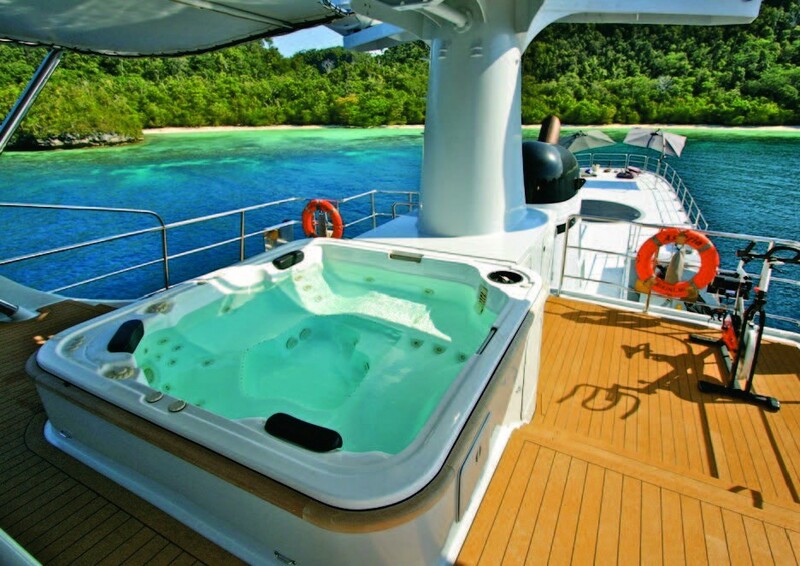 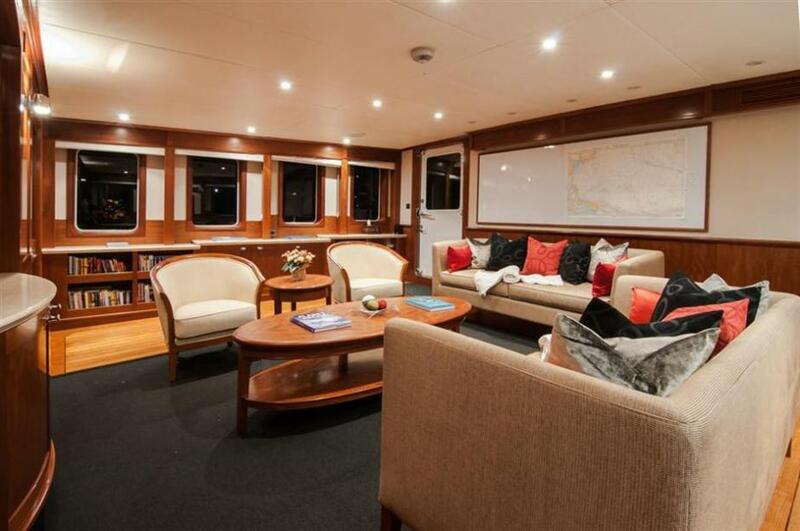 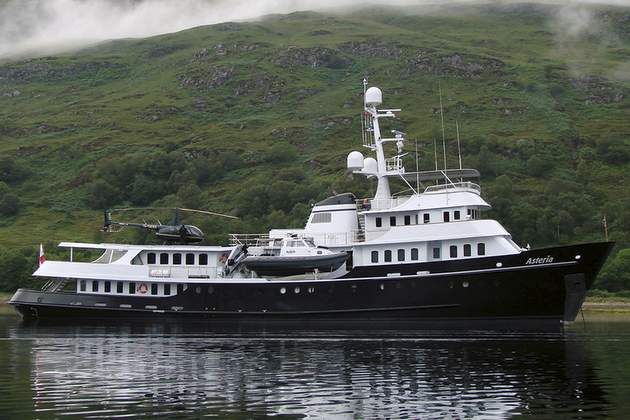 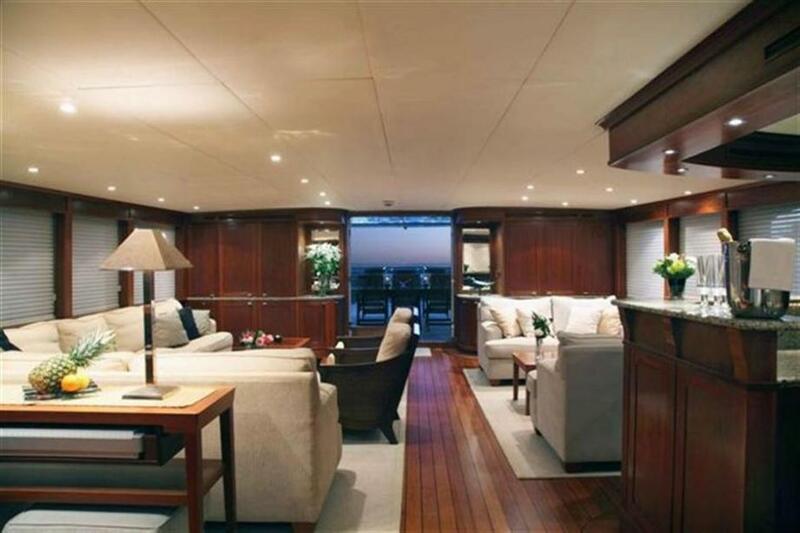 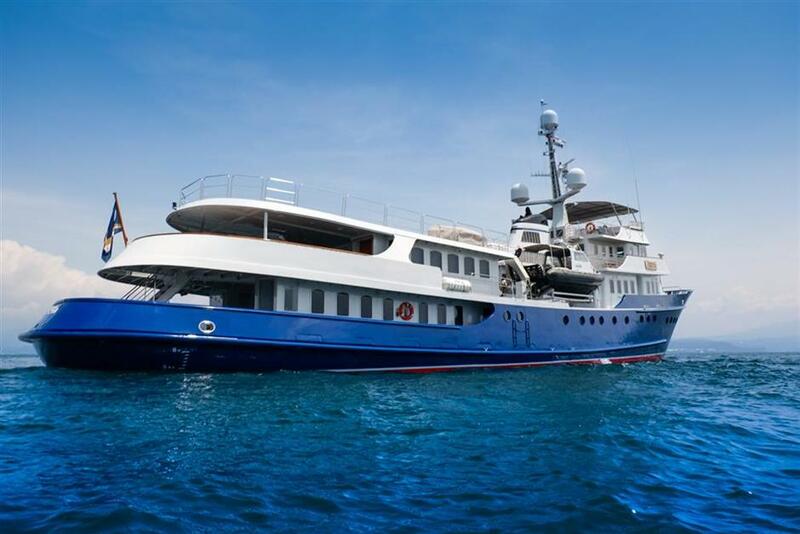 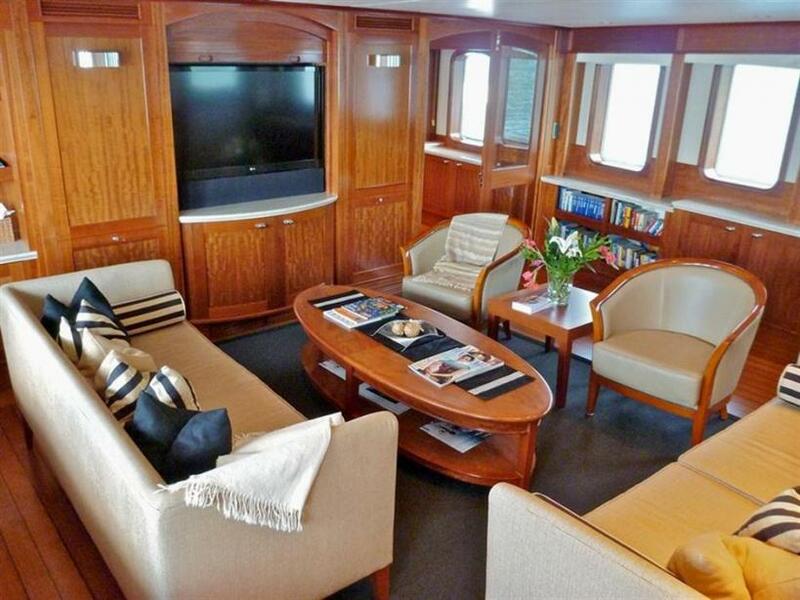 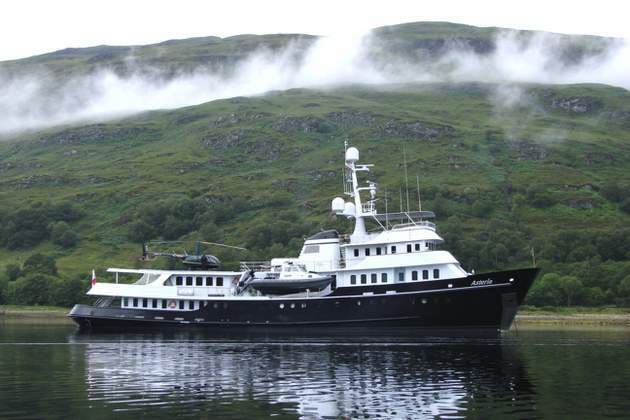 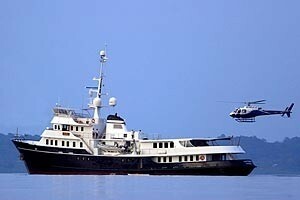 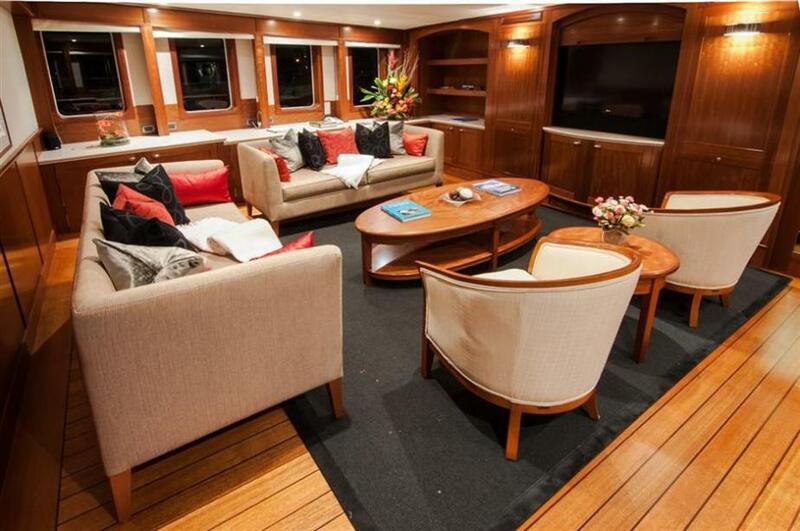 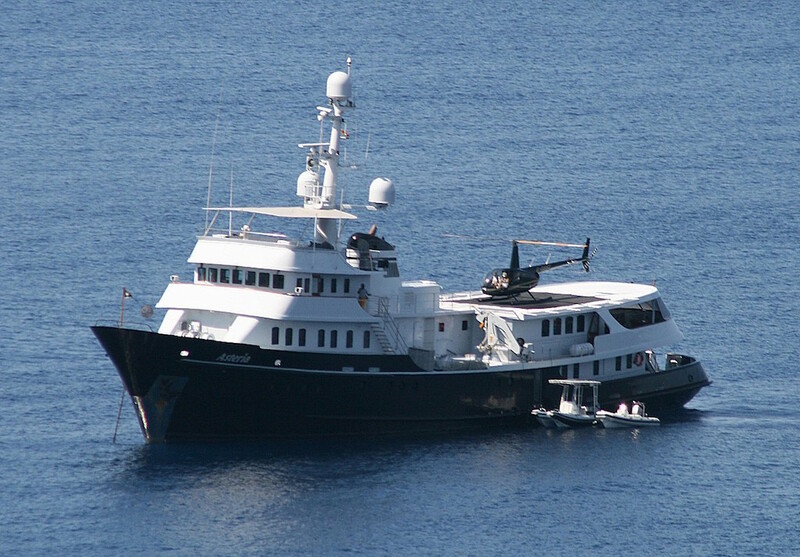 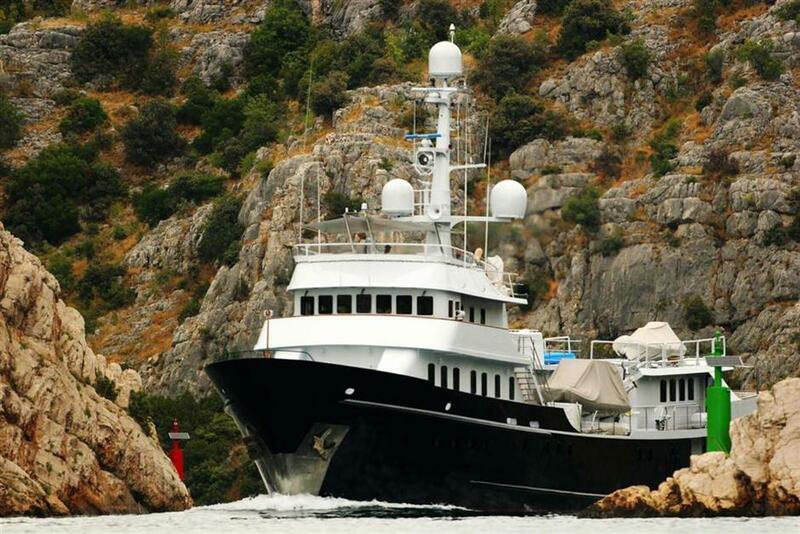 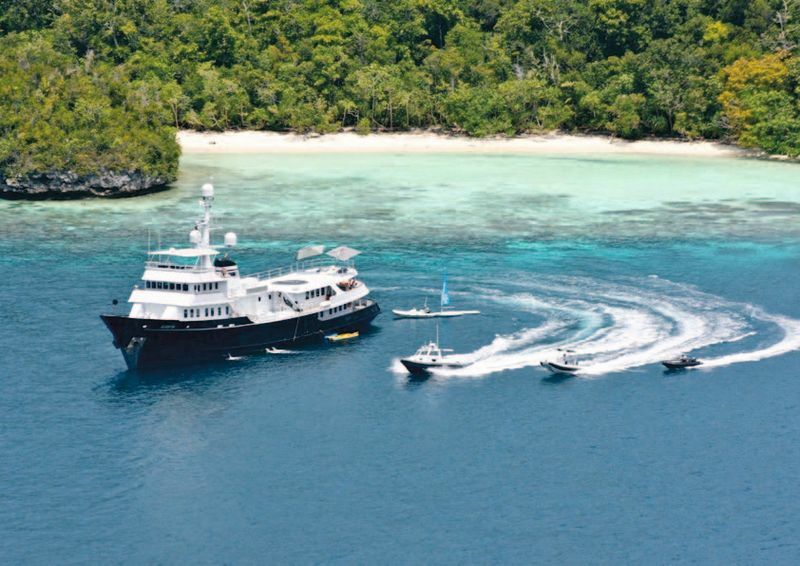 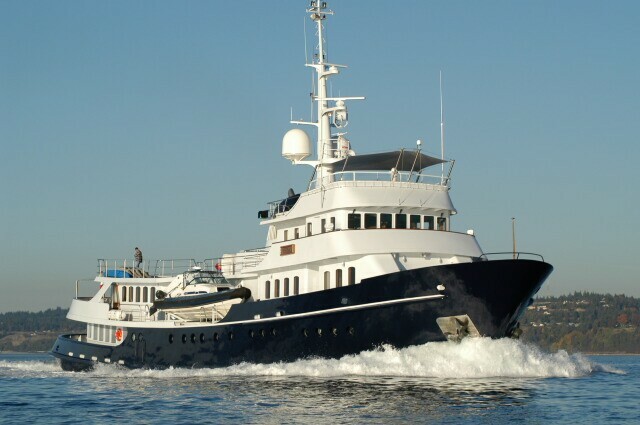 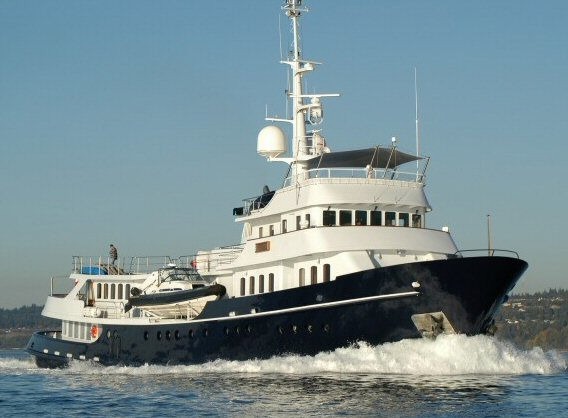 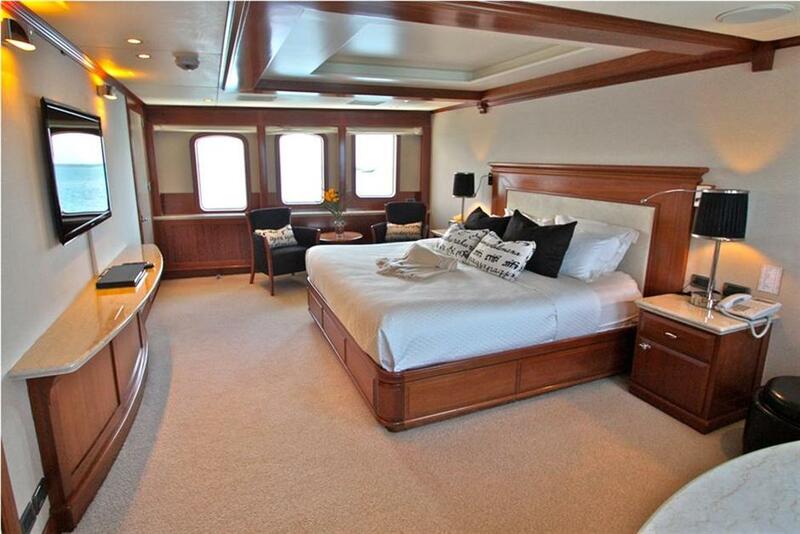 She was completely refitted and converted for charter in 2002 and has been impeccably maintained and upgraded since. 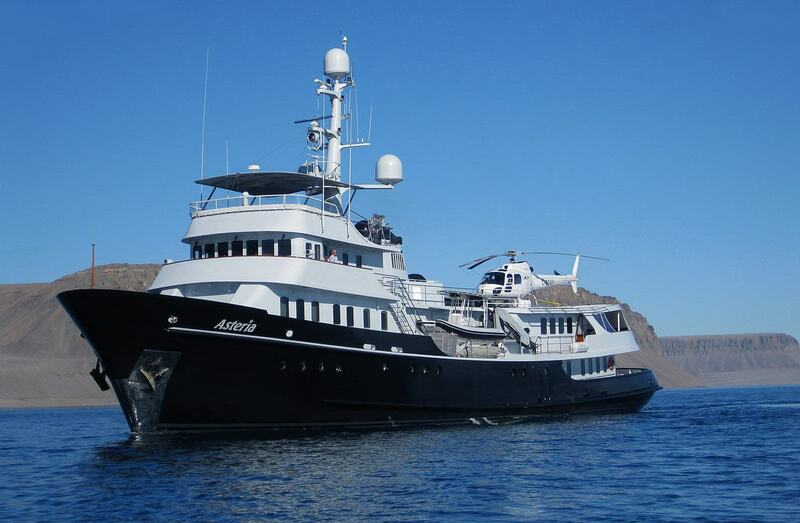 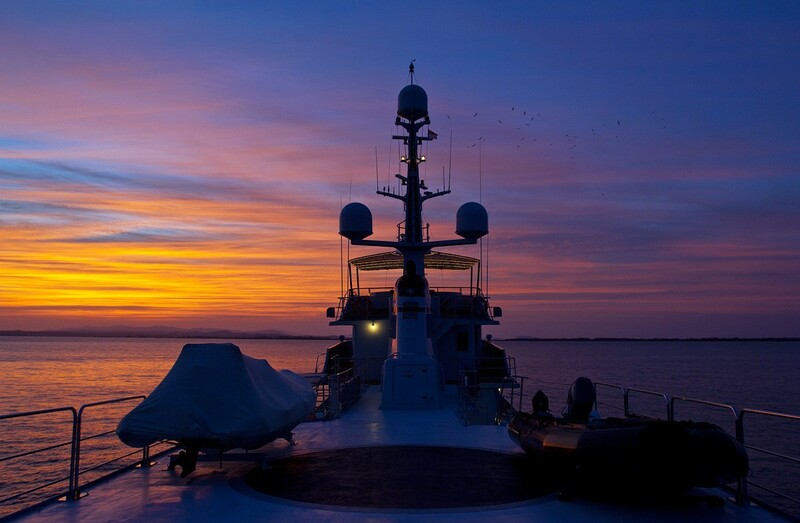 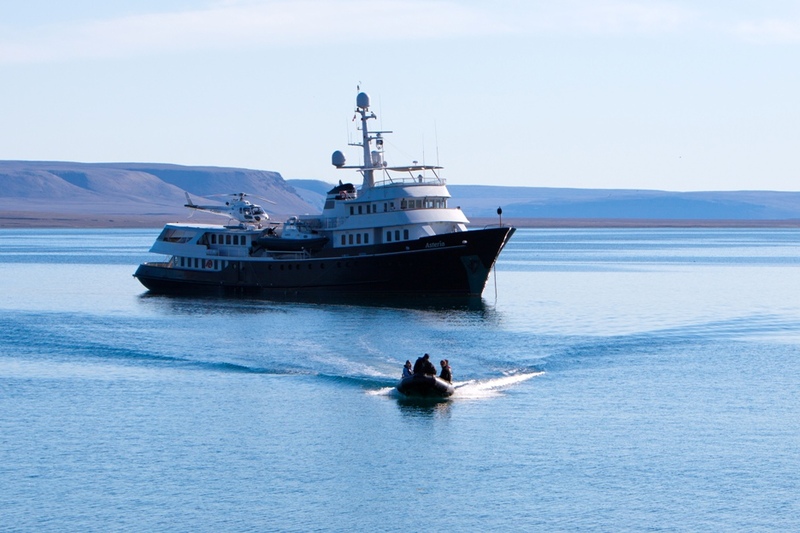 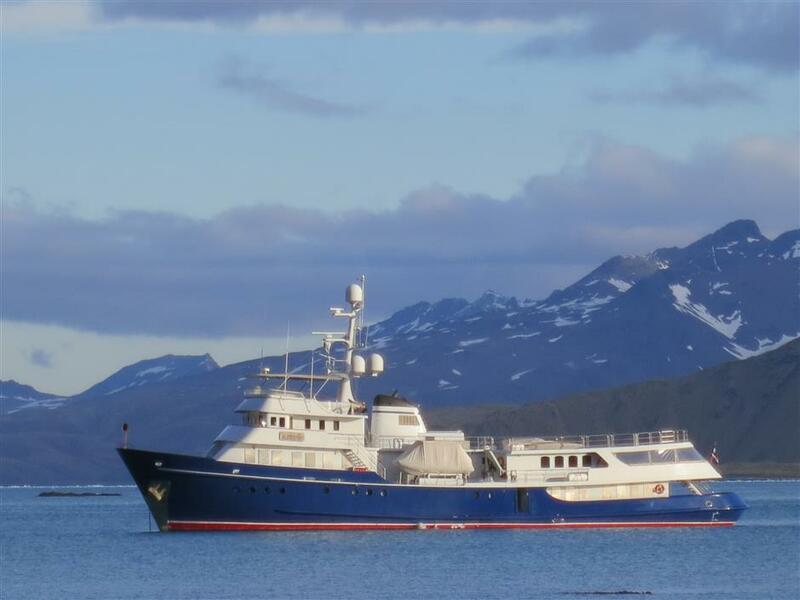 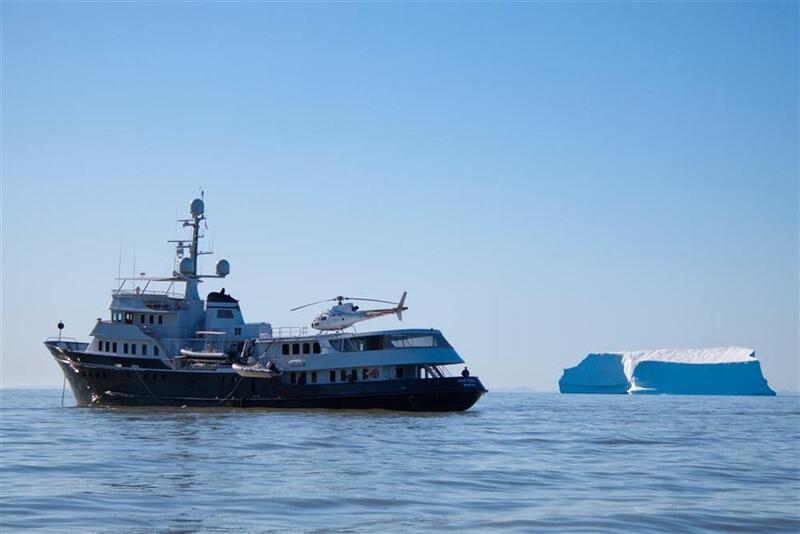 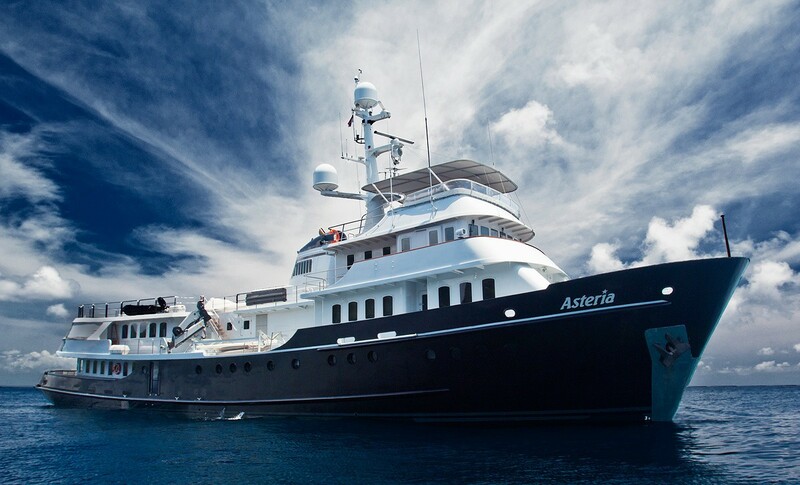 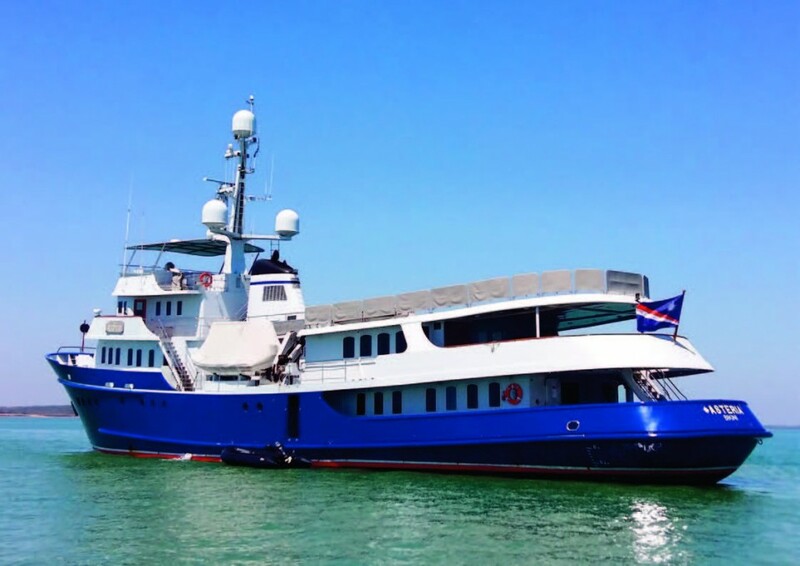 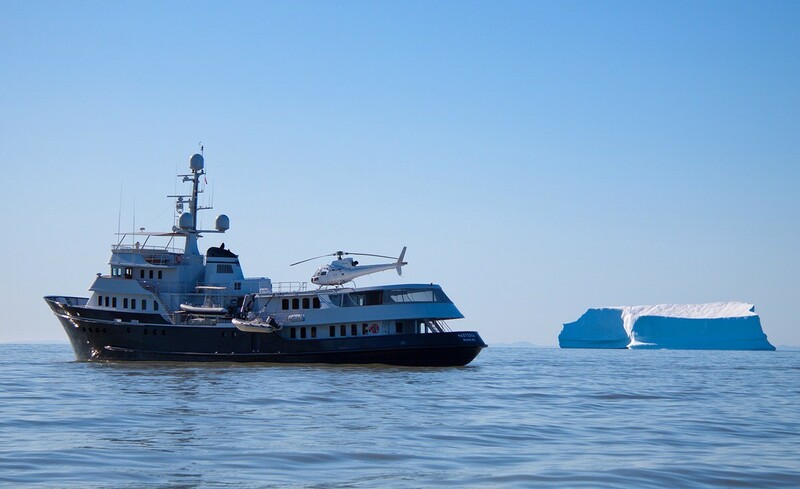 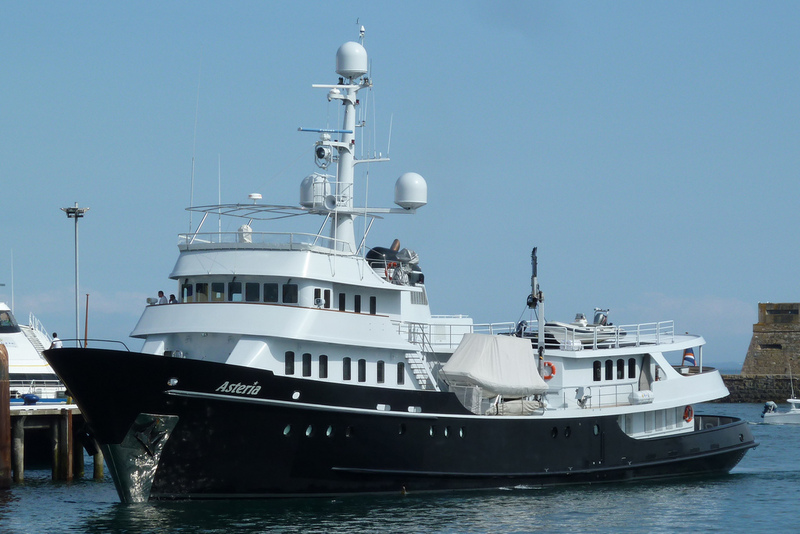 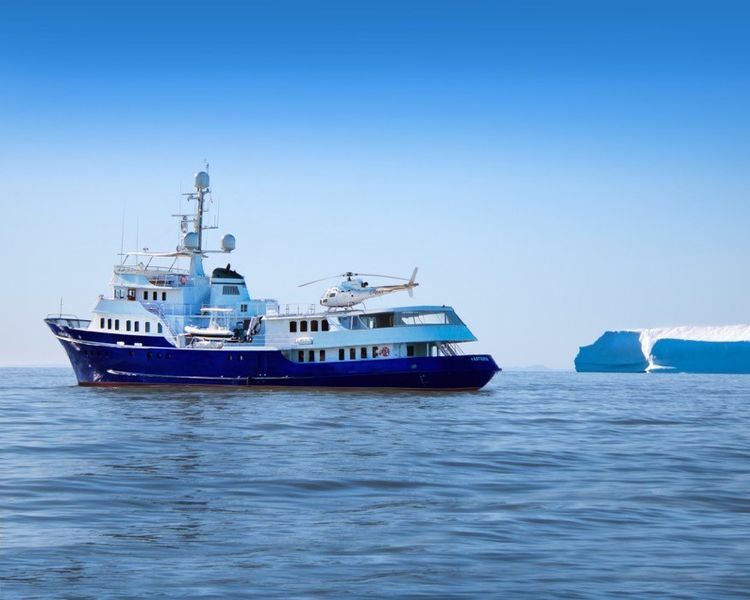 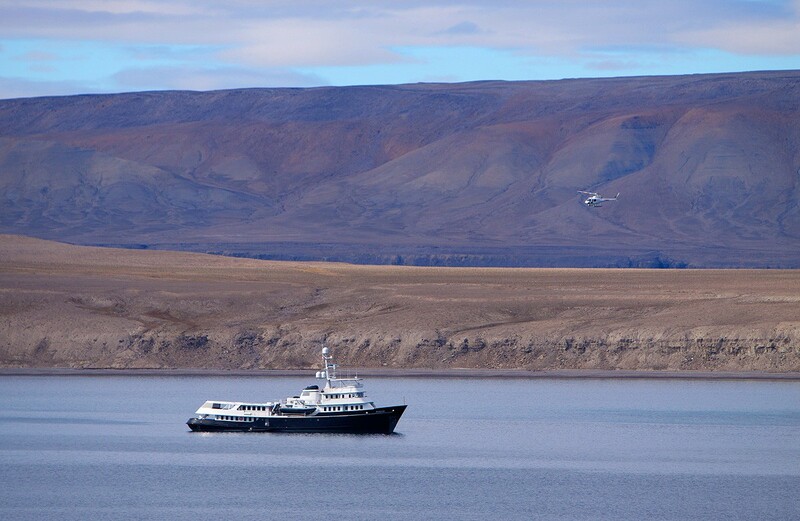 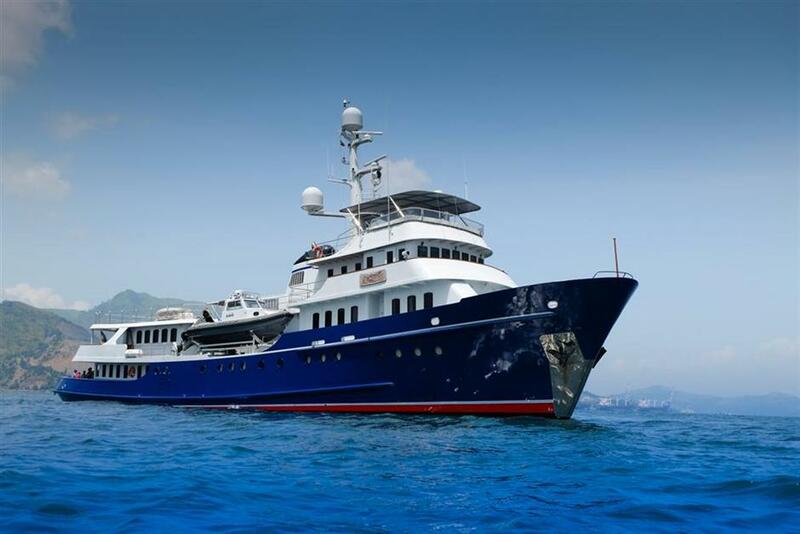 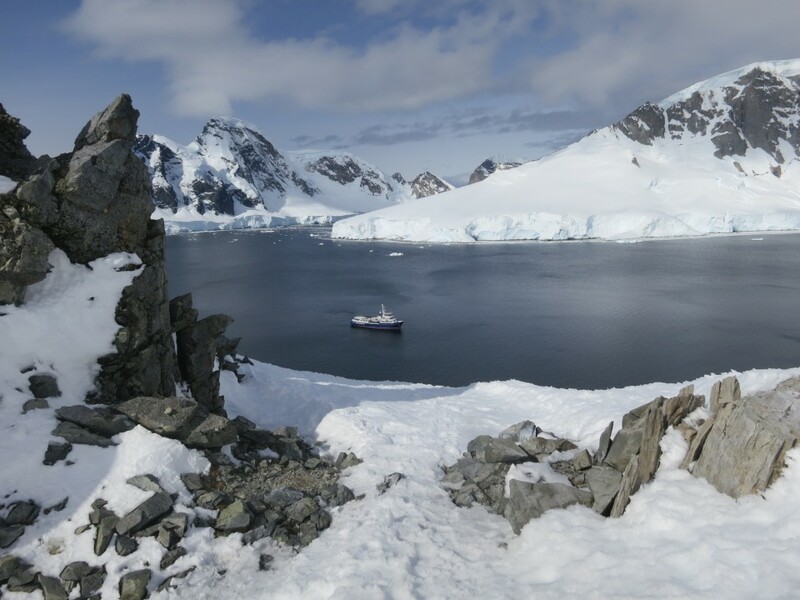 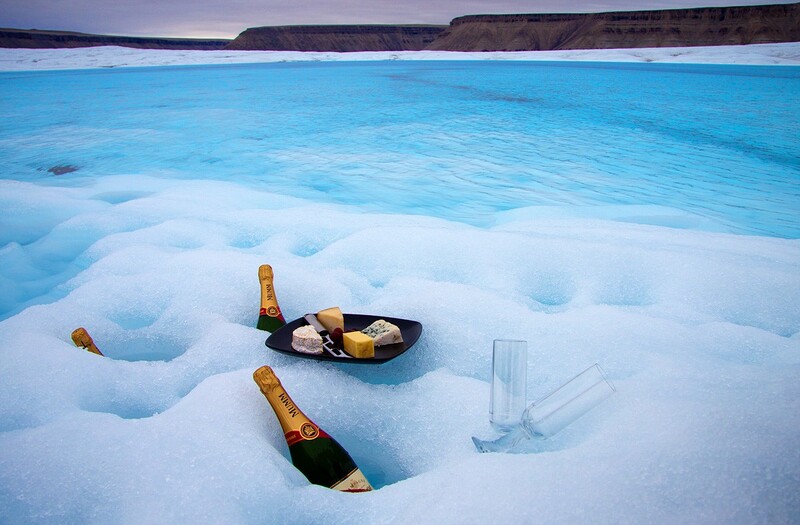 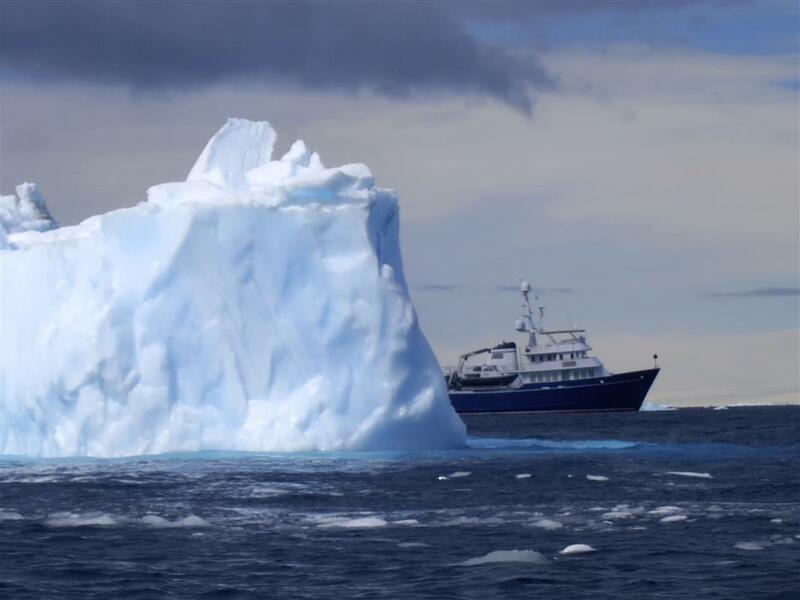 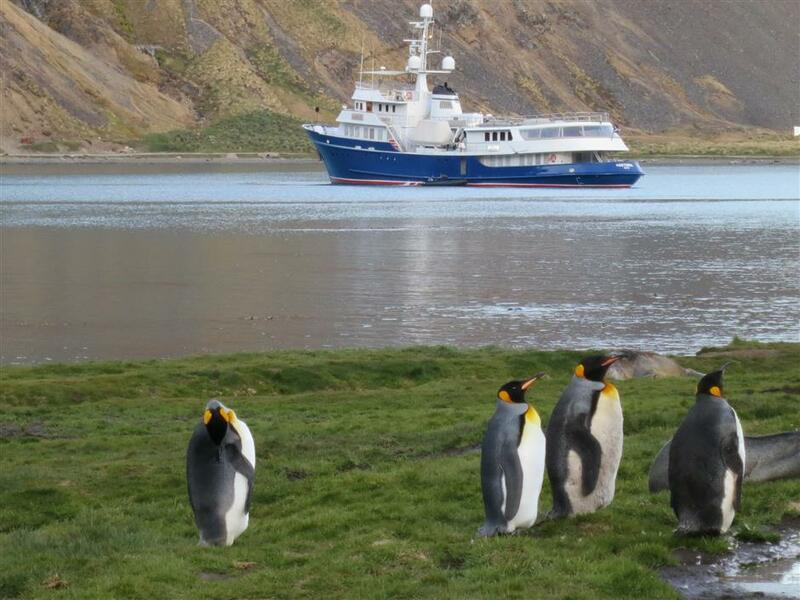 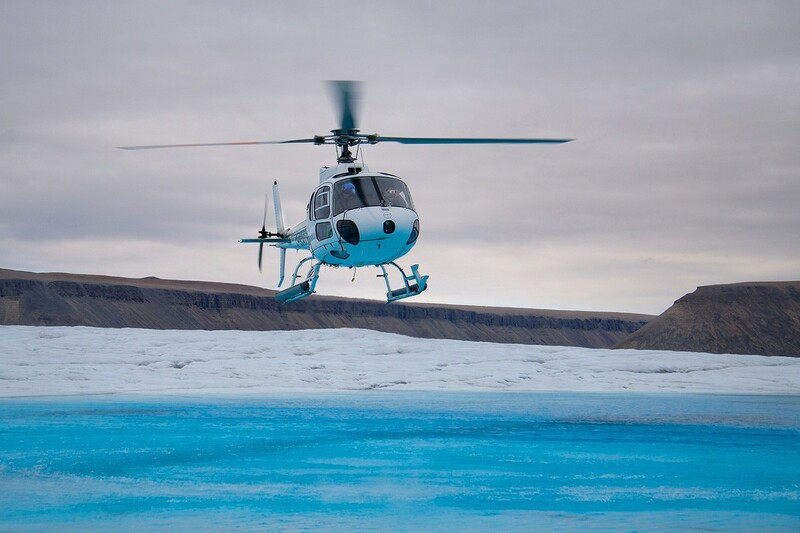 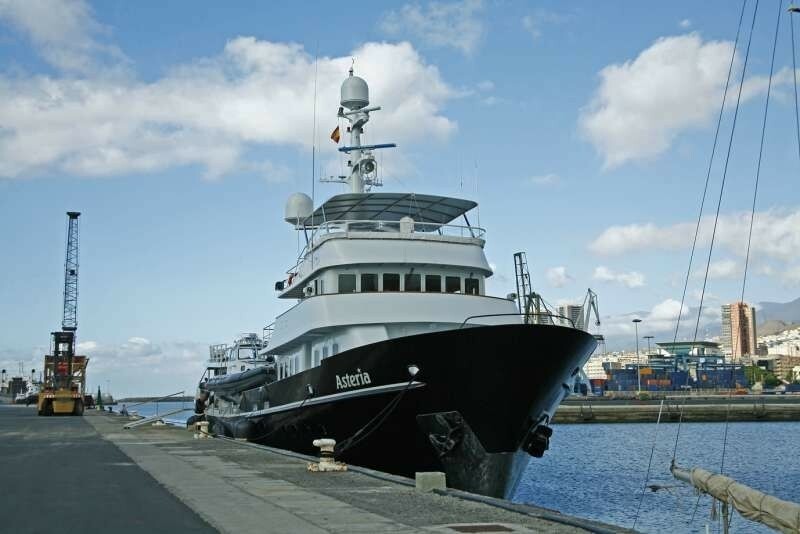 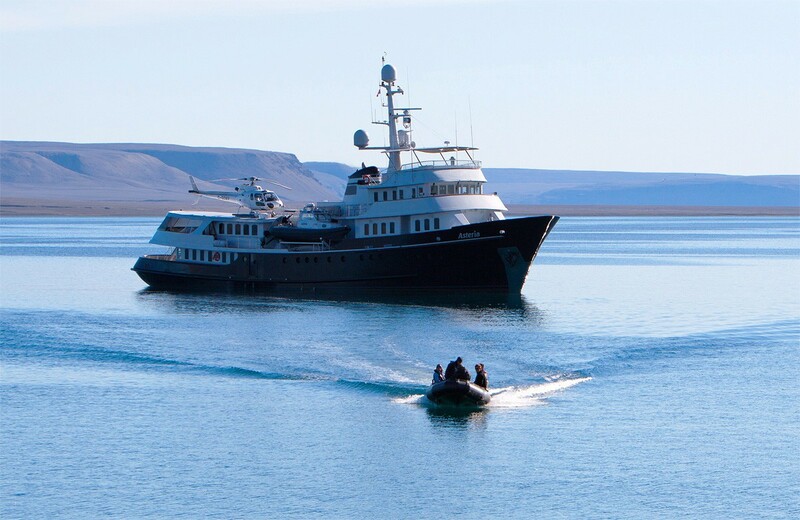 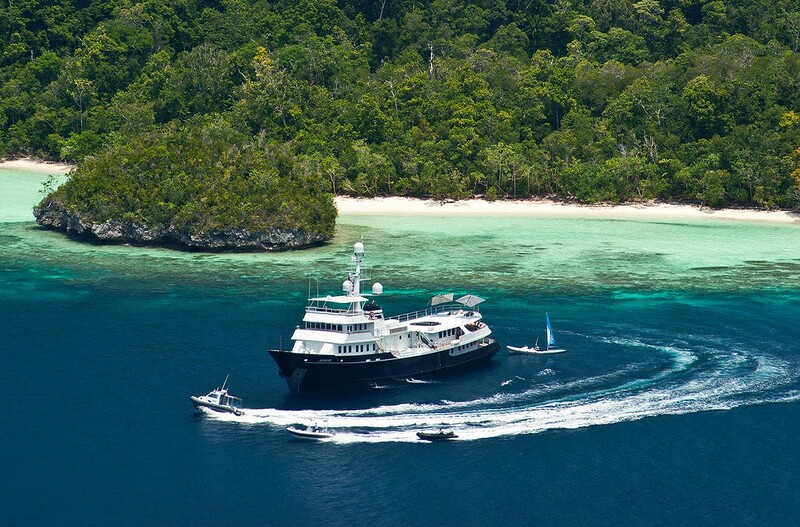 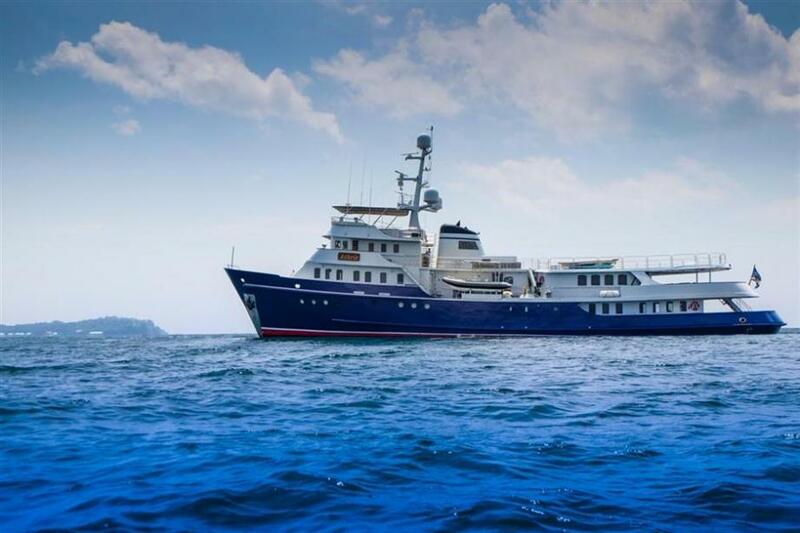 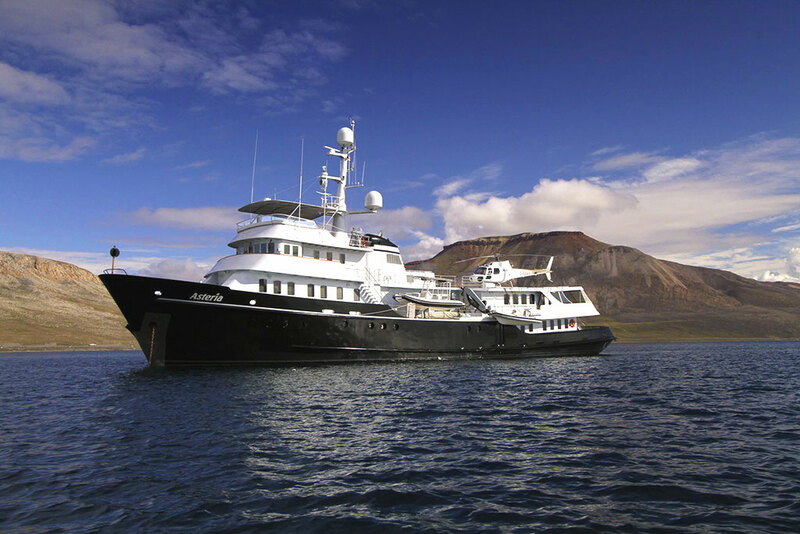 Explorer yacht ASTERIA accommodates up to 12 guests in 6 deluxe cabins; she is the ideal yacht for a relaxing recreational charter or a long-range research charter with a 6000+ mile fuel capacity and three walks-in freezers for ample provisions. 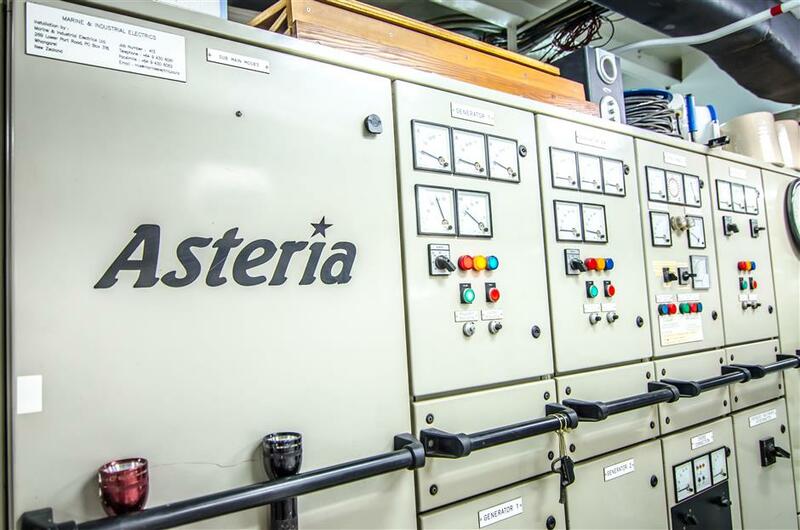 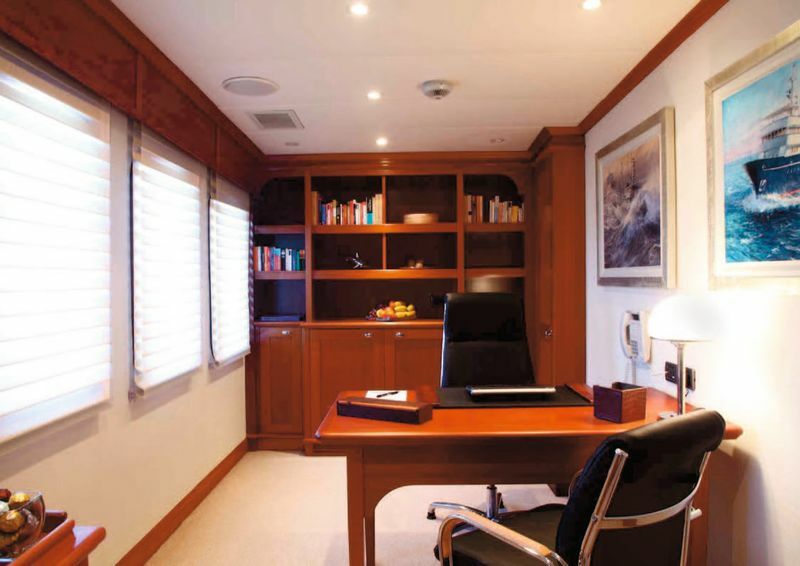 Motor yacht ASTERIA has a regal yet comfortable interior with excellent quality woods, lovely neutral toned soft furnishings, impressive marble counters and a stylish décor. 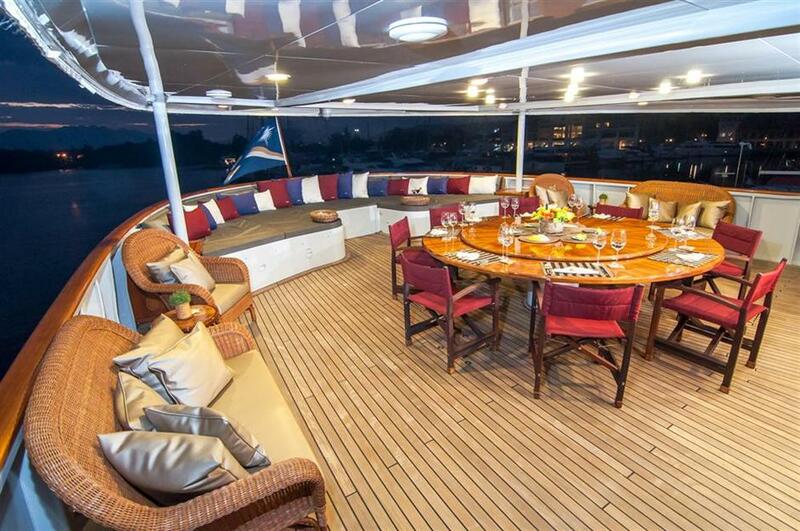 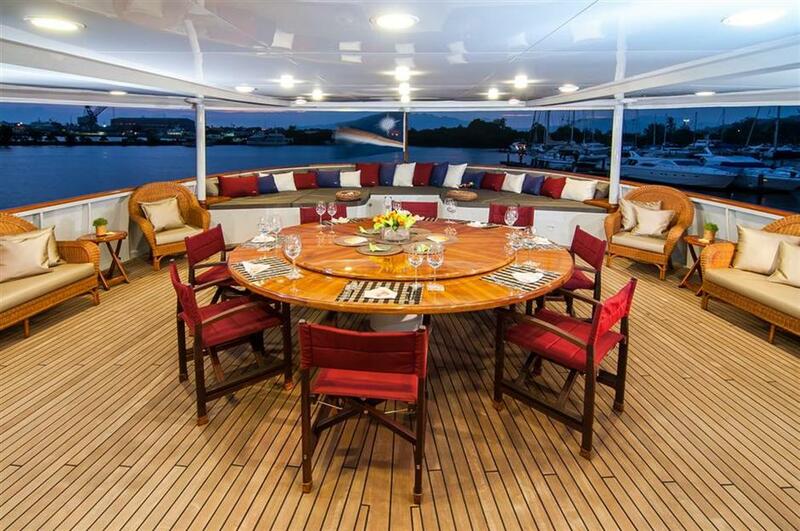 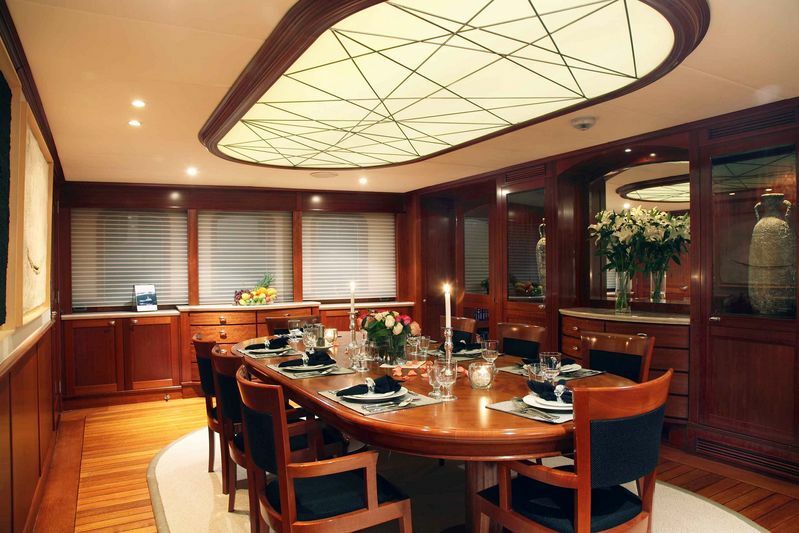 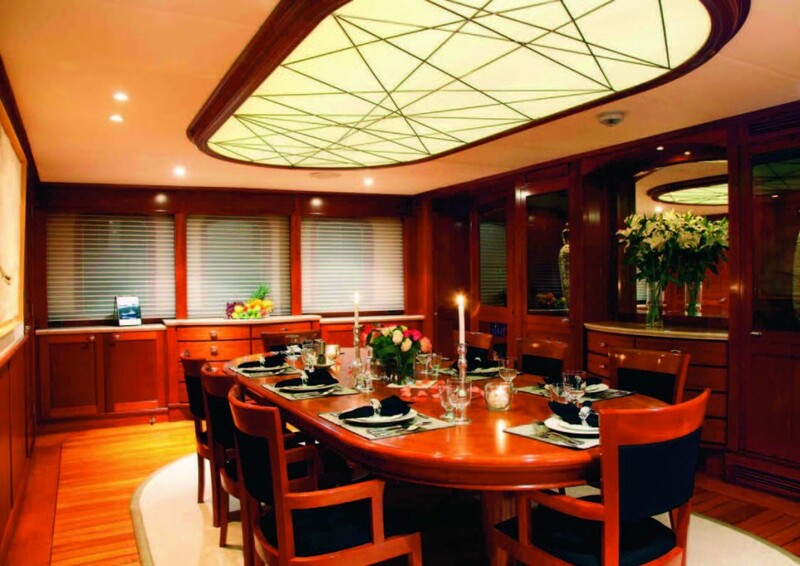 On the main deck, the formal dining room is forward of the salon and can seat all 12 guests easily. 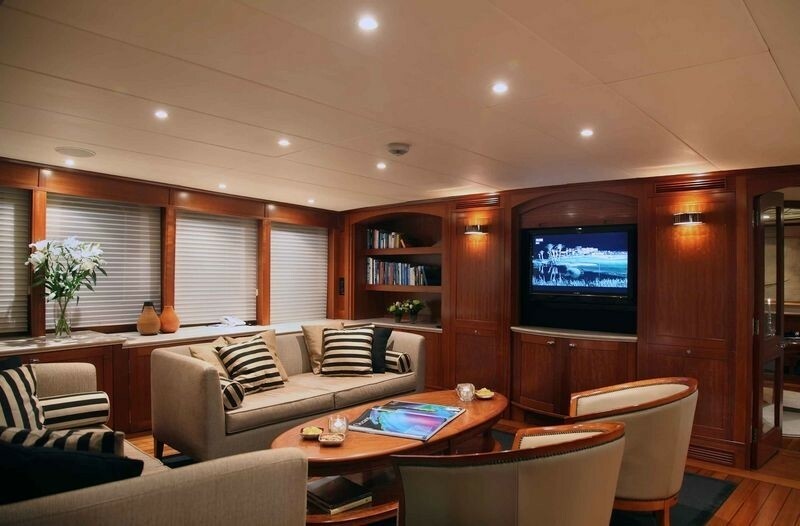 Aft of rhe salon is spacious and features two lounge areas, 3 fold-away workstations, WIFI access and a 47’’ 3D TV and surround sound, perfect for relaxing or gathering to review the day’s events. 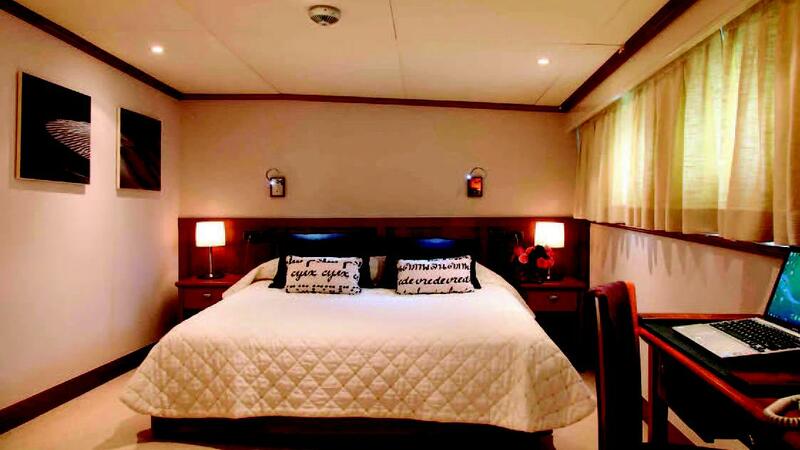 Forward of the salon and dining are 5 of the guest cabins. 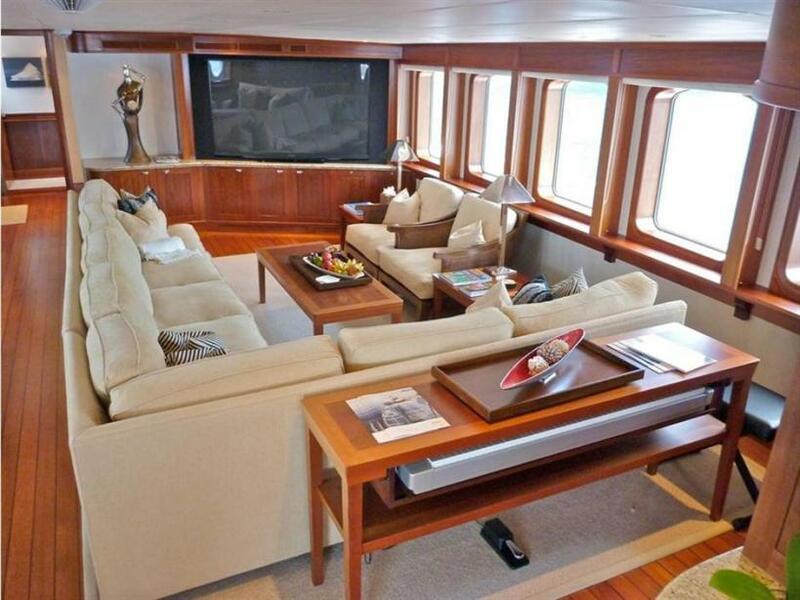 Seagoing yacht ASTERIA boasts a fabulous sky lounge complete with wet bar, lounge seating, cocktail seating and a 76’’ 3D TV with surround sound. 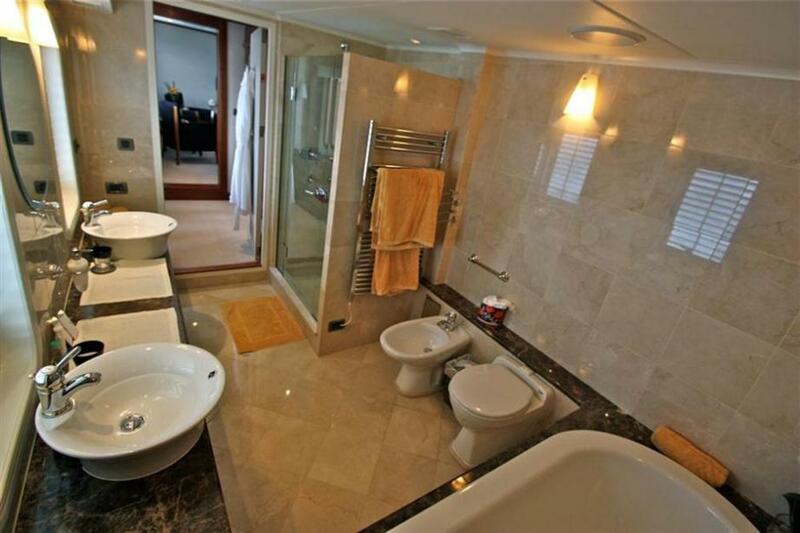 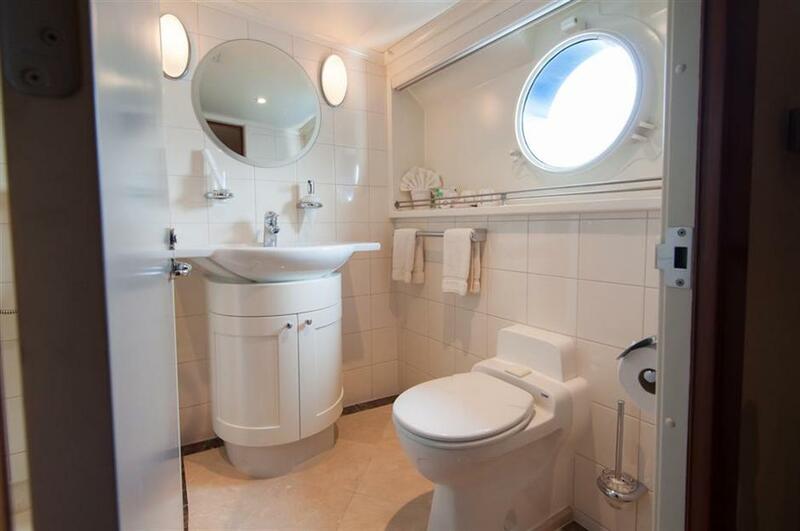 Forward of the sky lounge is the full beam master suite with king size bed, vanity, lounge space, office and en-suite marble facilities which include a tub, shower and his and her sinks. 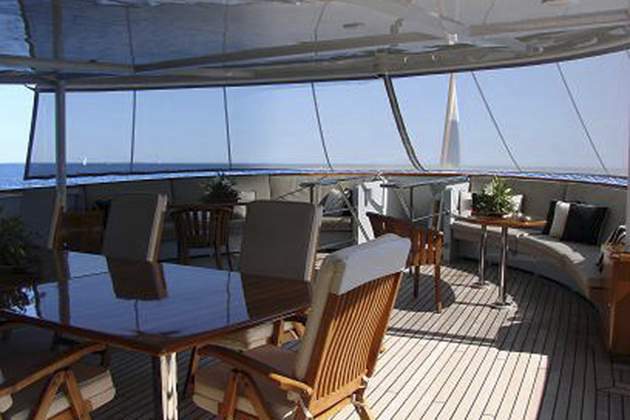 ASTERIA offers guests clear screens can enclose a large aft deck adjacent to the sky lounge with an alfresco dining option for 12 guests and a cocktail seating area which spans the beam of the yacht. 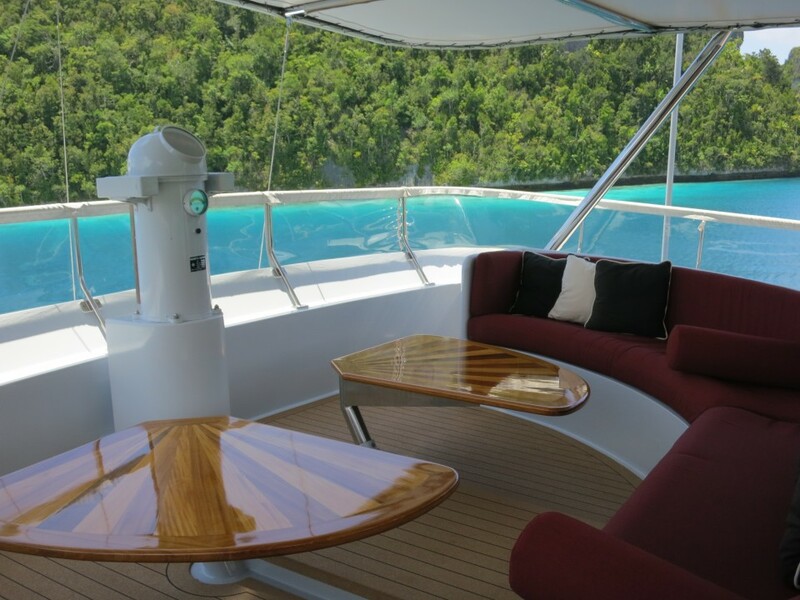 For a more intimate escape, steps lead up to the sundeck from the flybridge which features a Spa Pool tub, semicircular sofa, and stationary exercise bike. 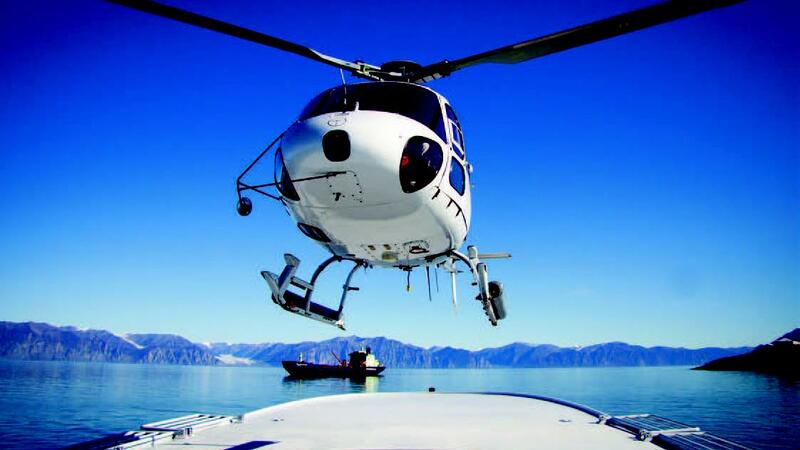 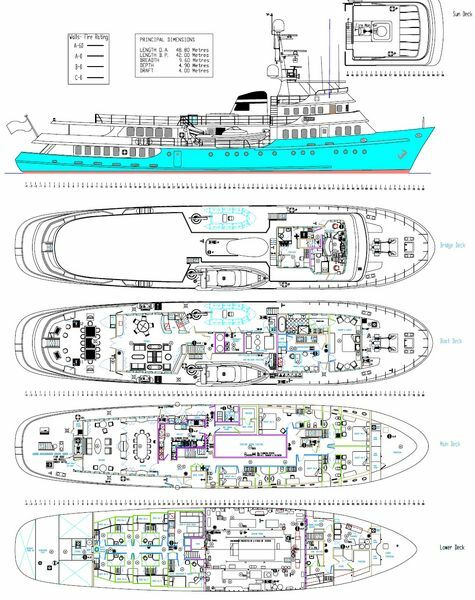 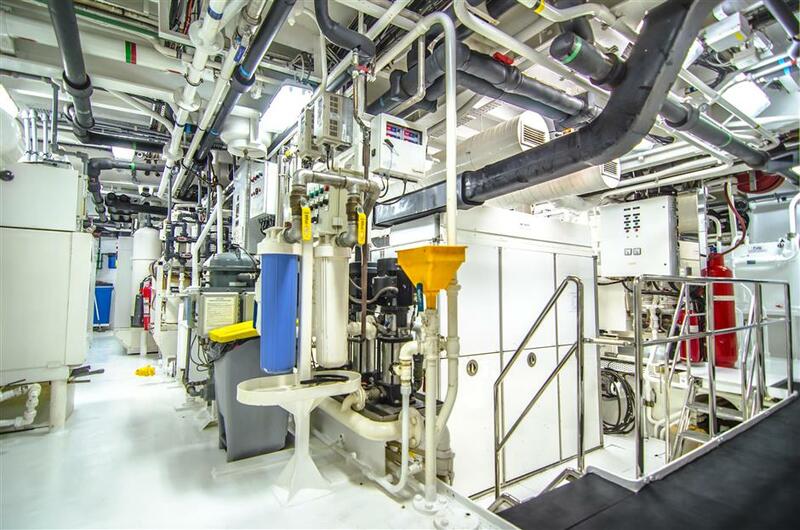 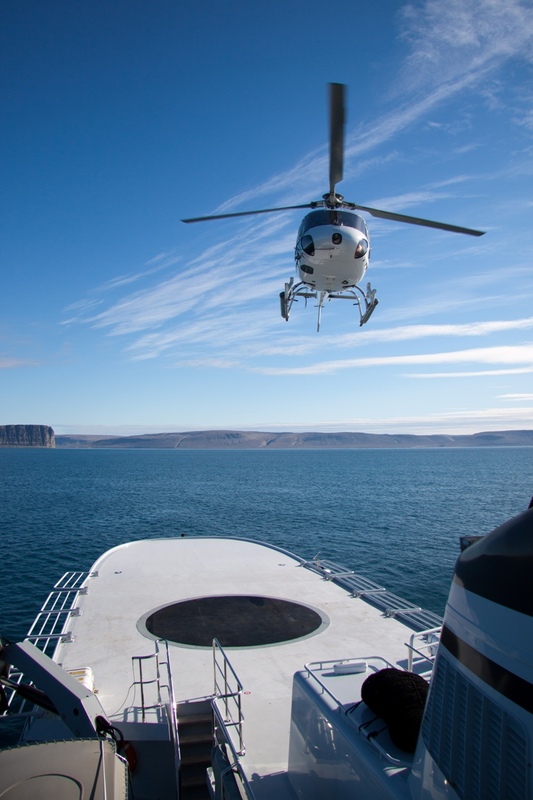 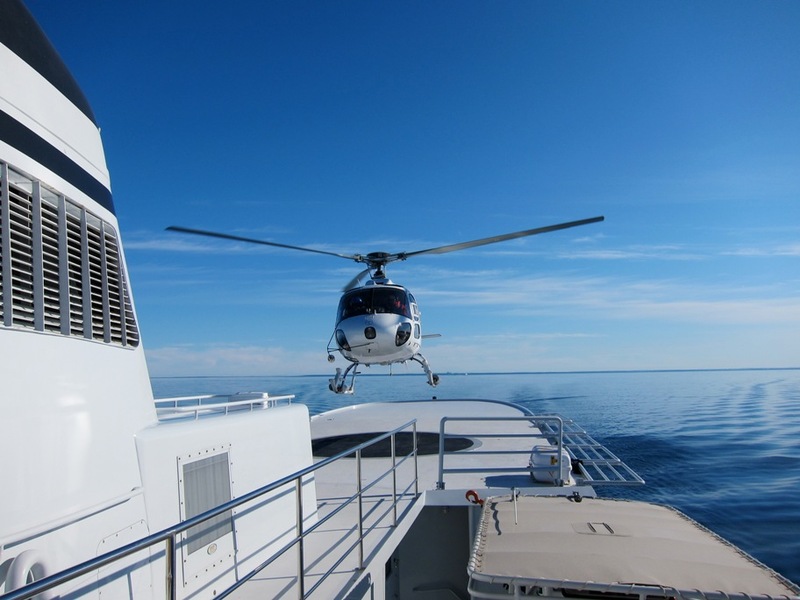 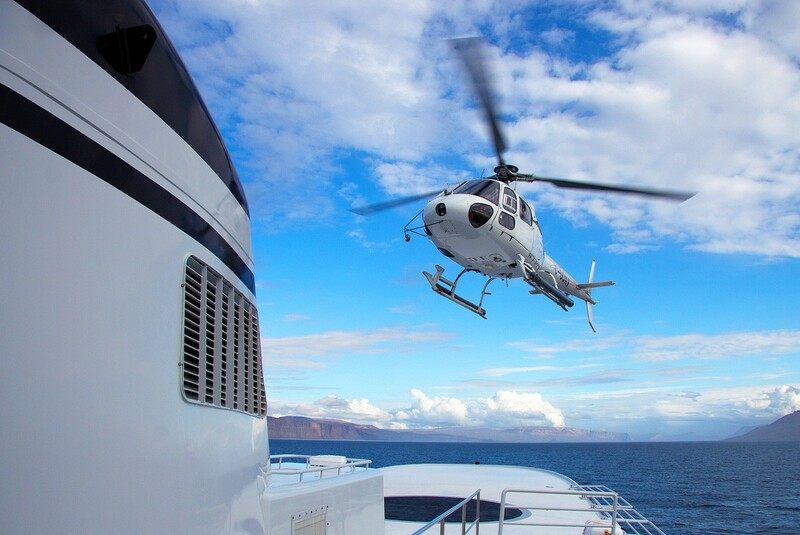 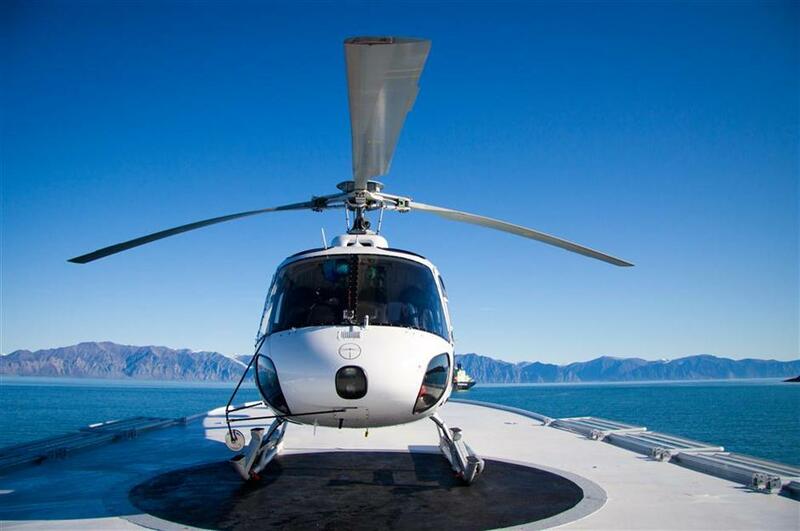 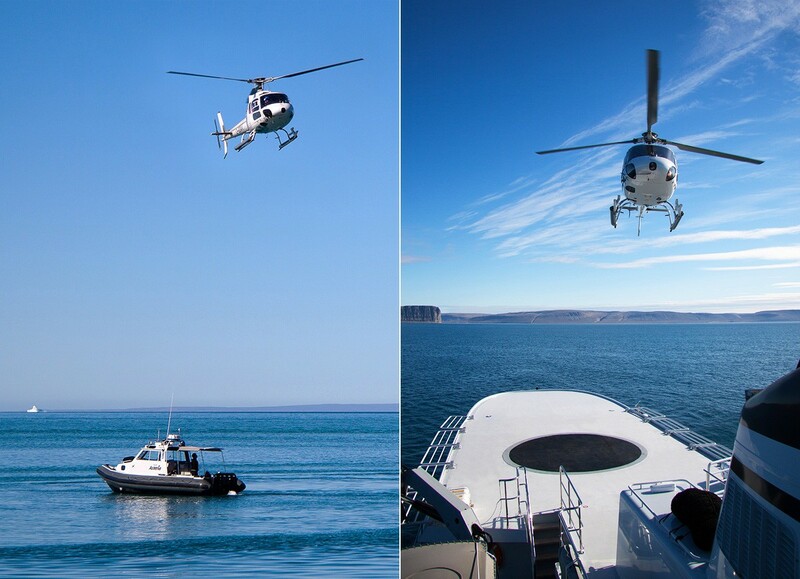 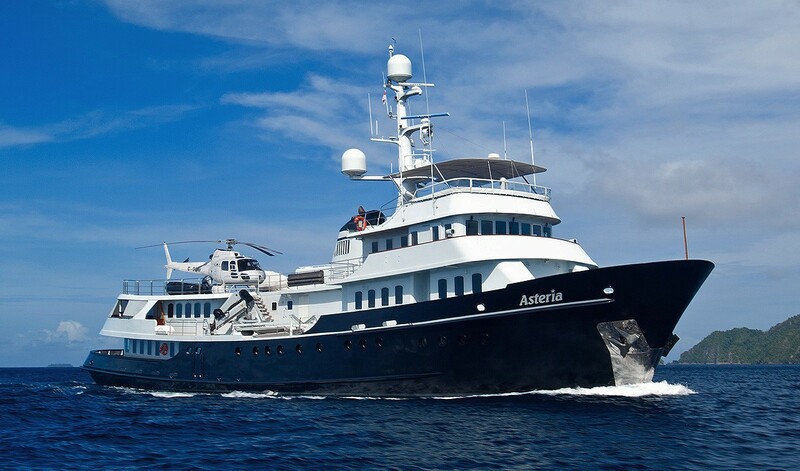 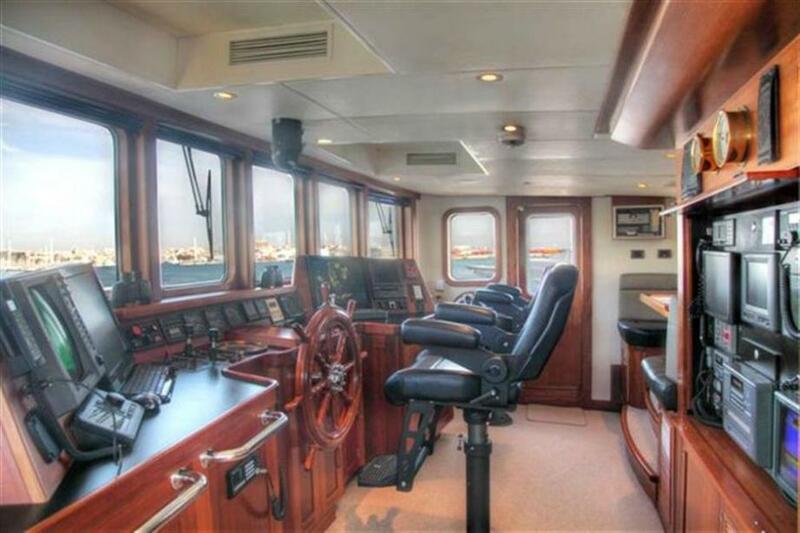 Luxury Motor yacht ASTERIA has an expansive deck space aft of the helm station for a helicopter pad that can easily accommodate a 6 or 7 passenger helicopter. 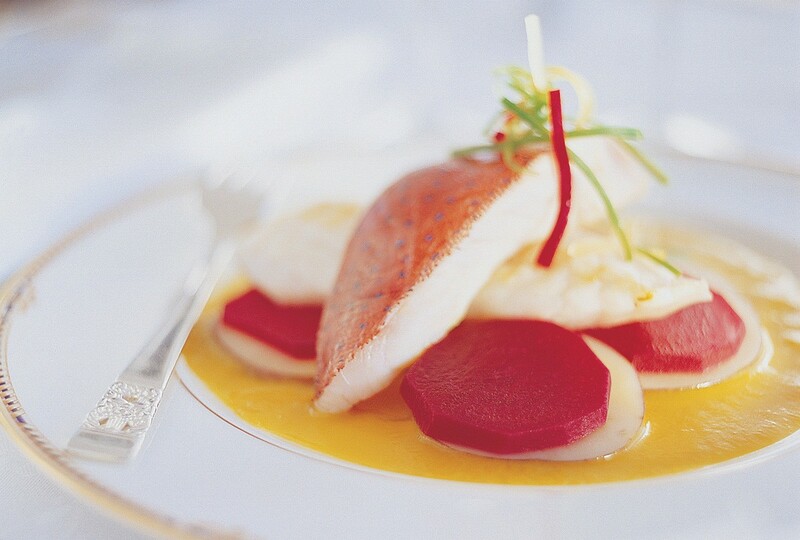 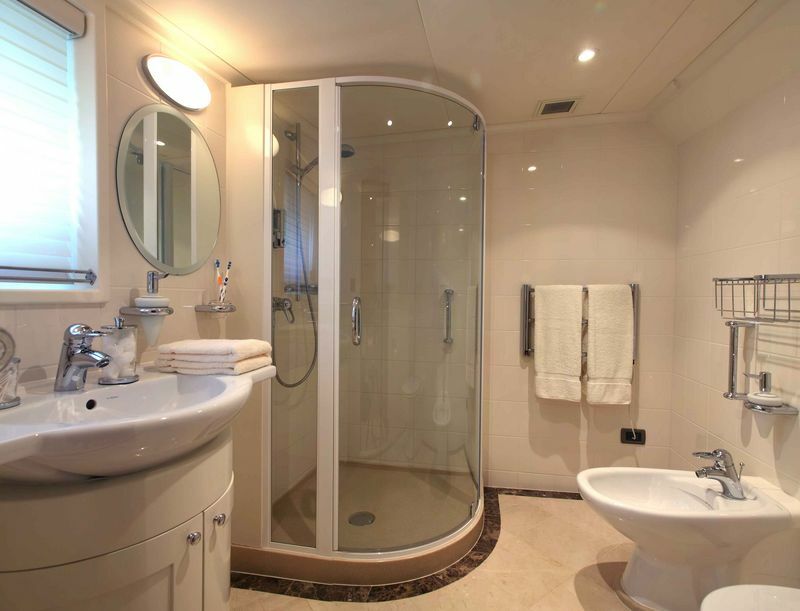 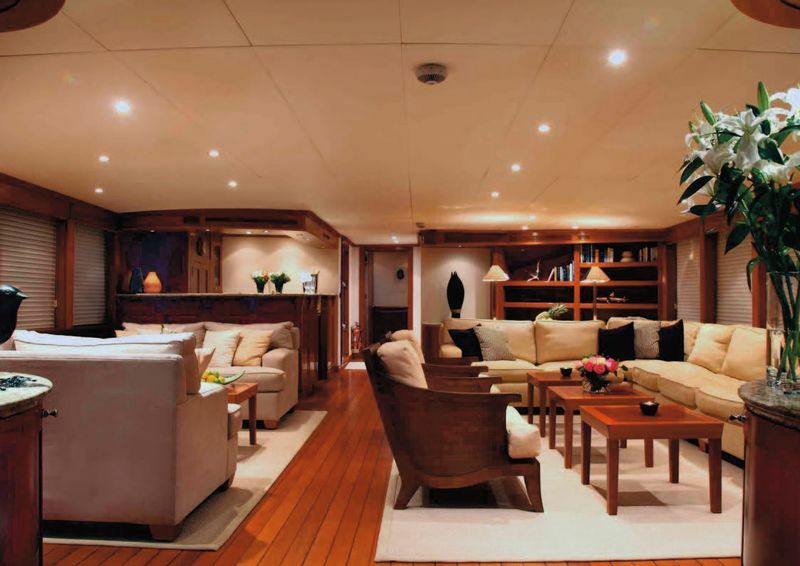 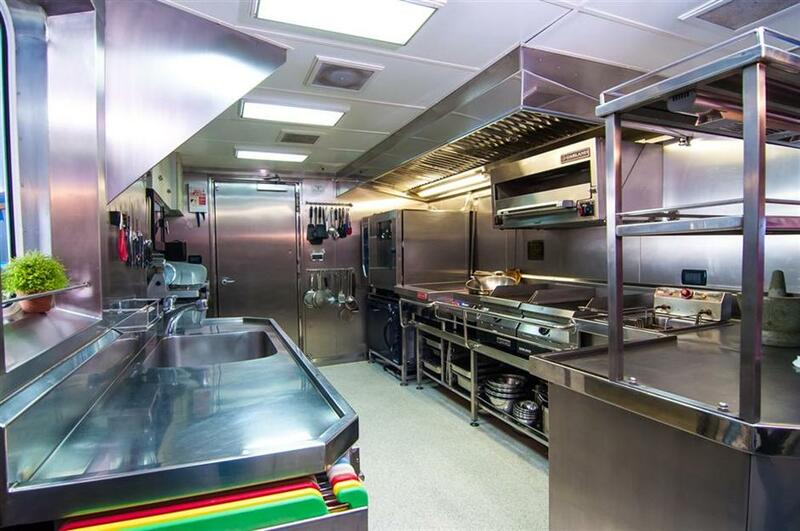 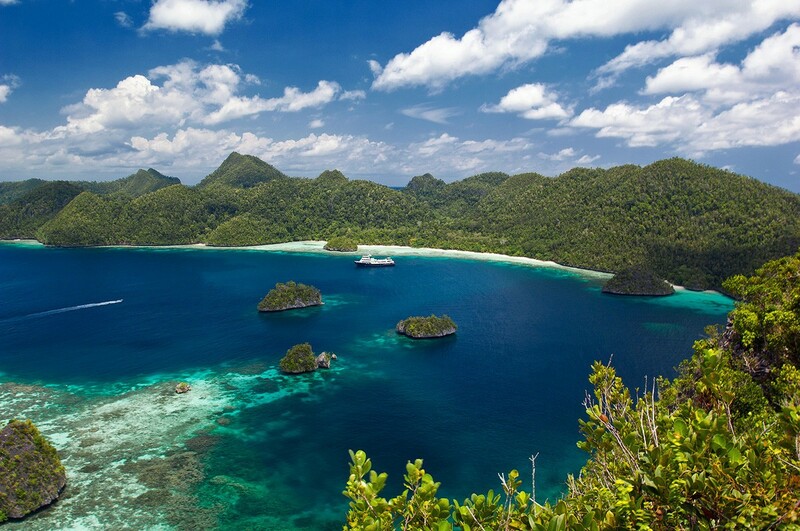 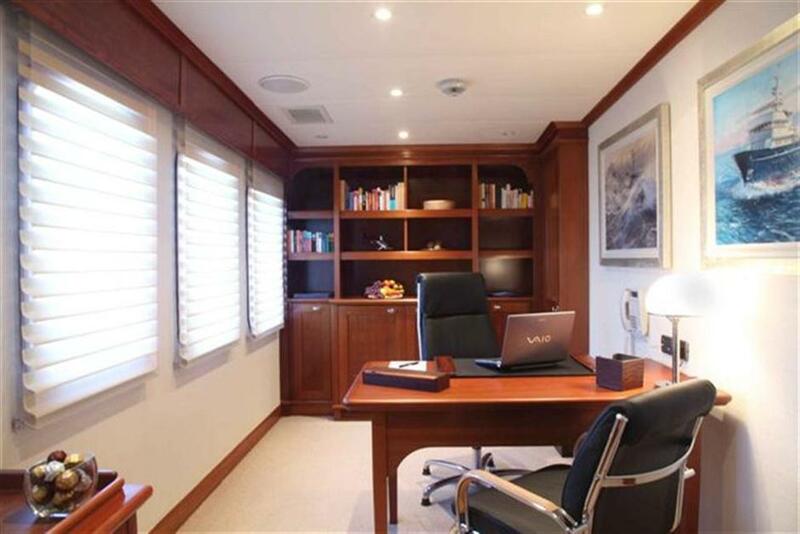 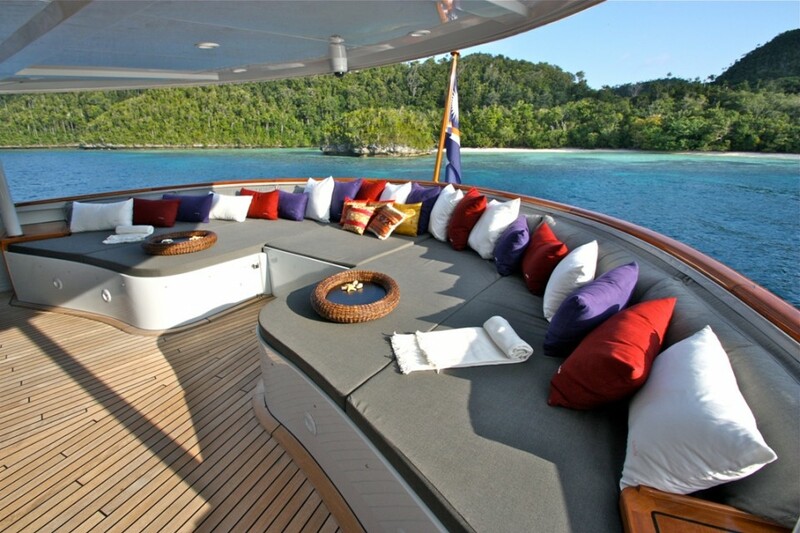 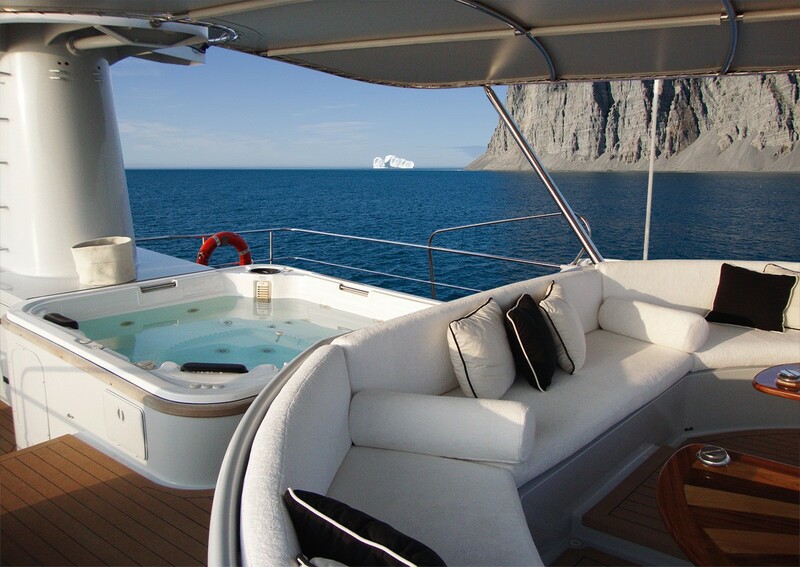 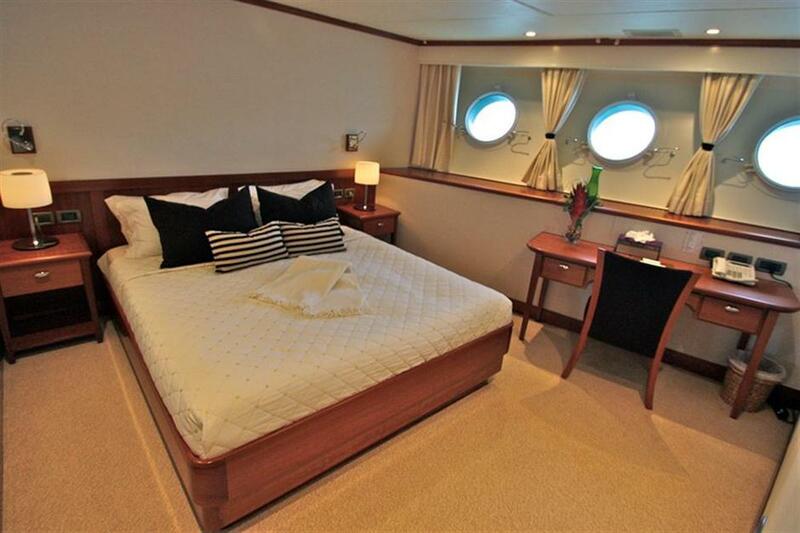 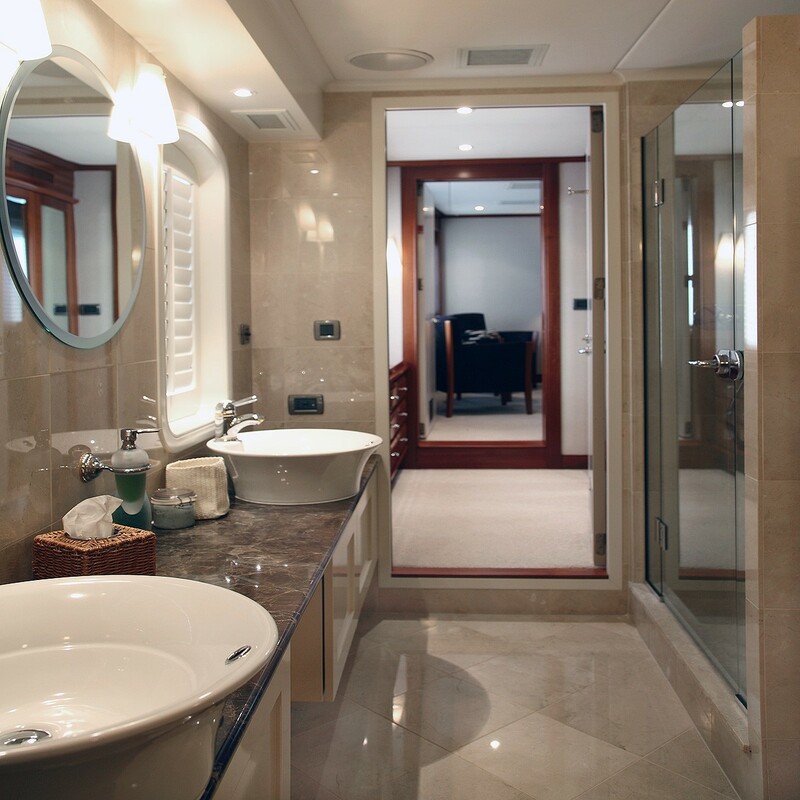 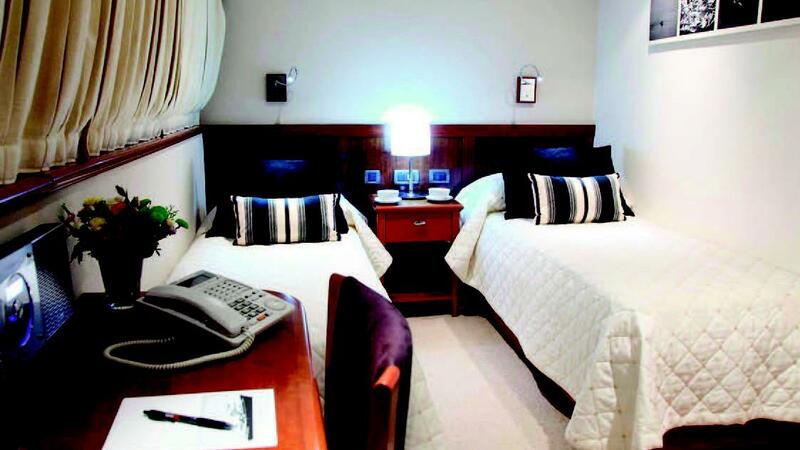 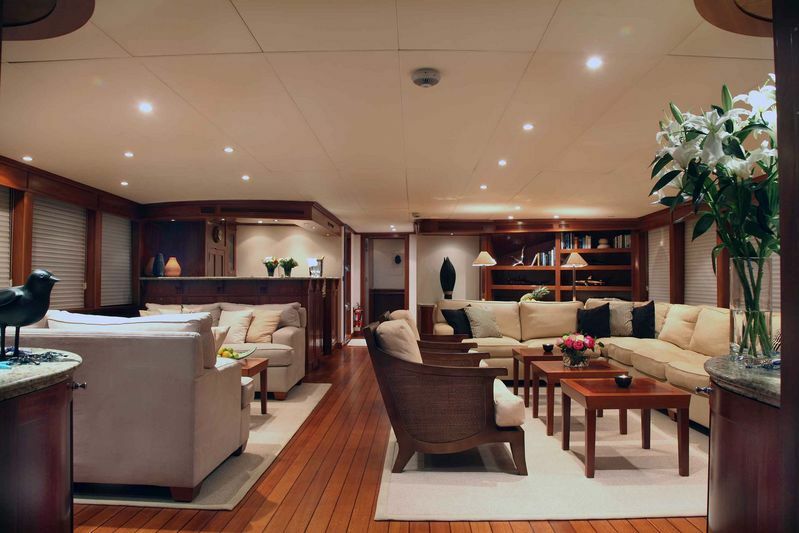 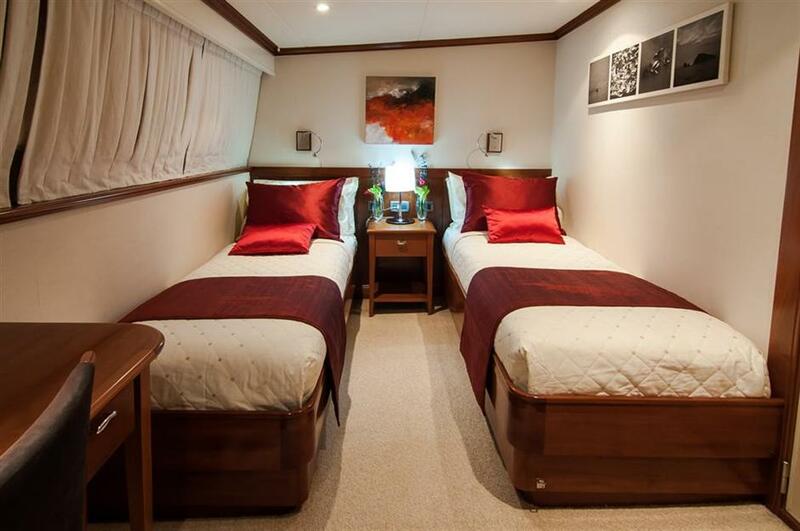 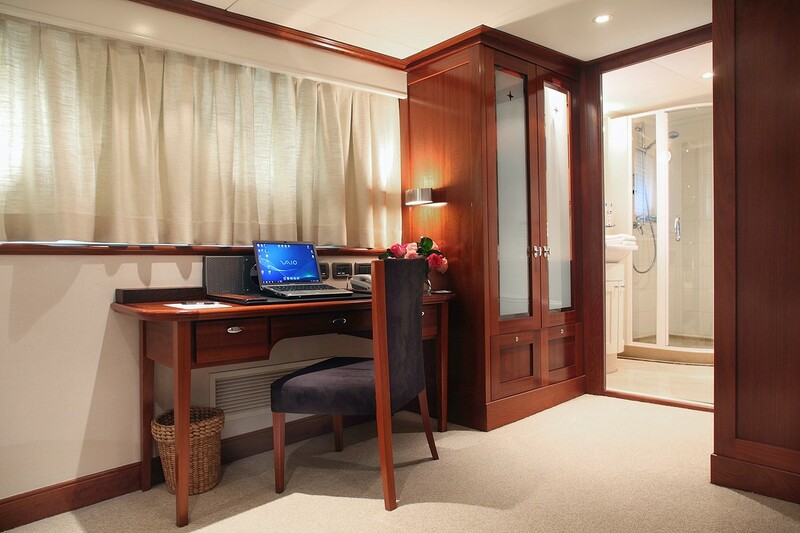 Deluxe accommodation onboard the M/Y ASTERIA is evident in the generous cabins. 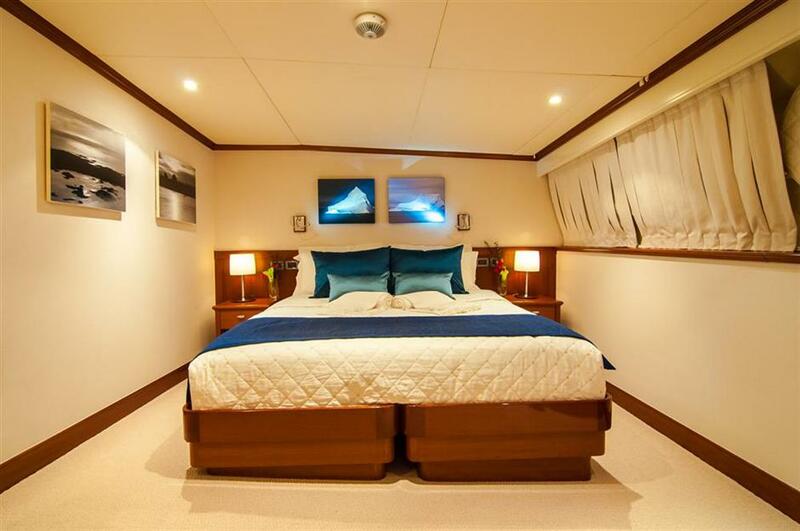 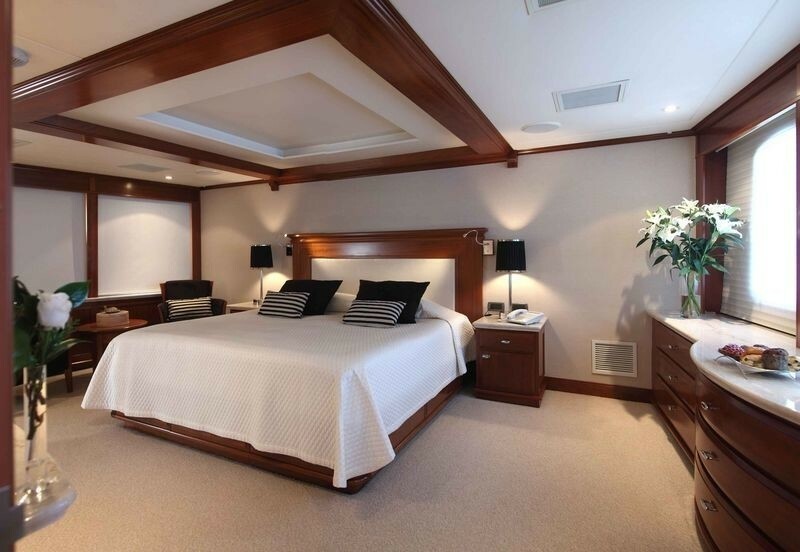 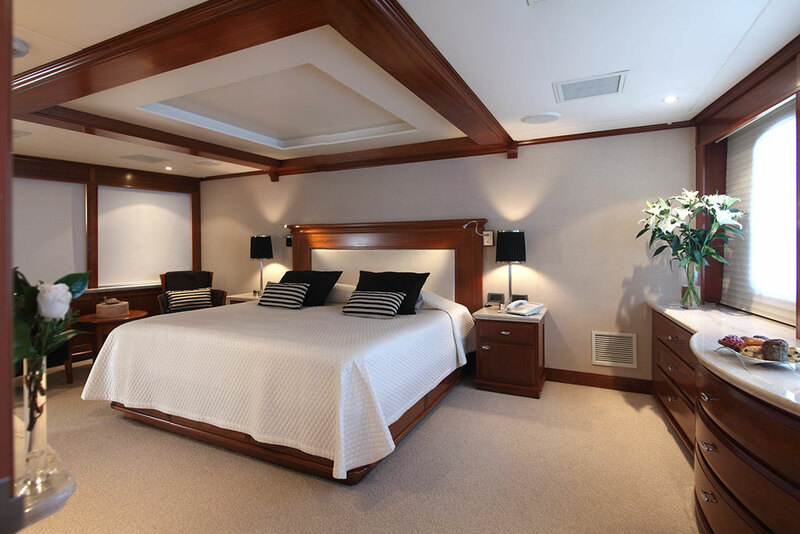 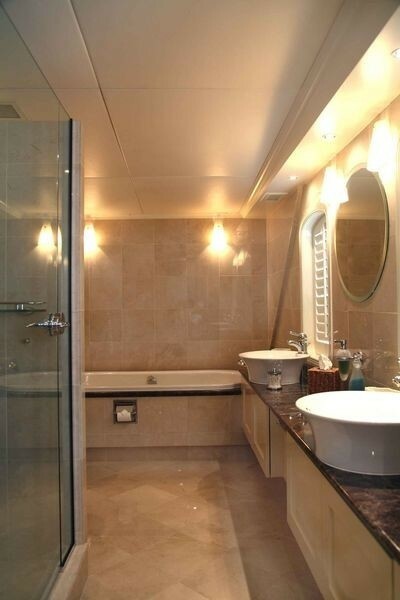 The master suite is full beam on the second deck with a king size bed, lounge, vanity and en-suite facilities with his and hers sinks, shower and bathtub. 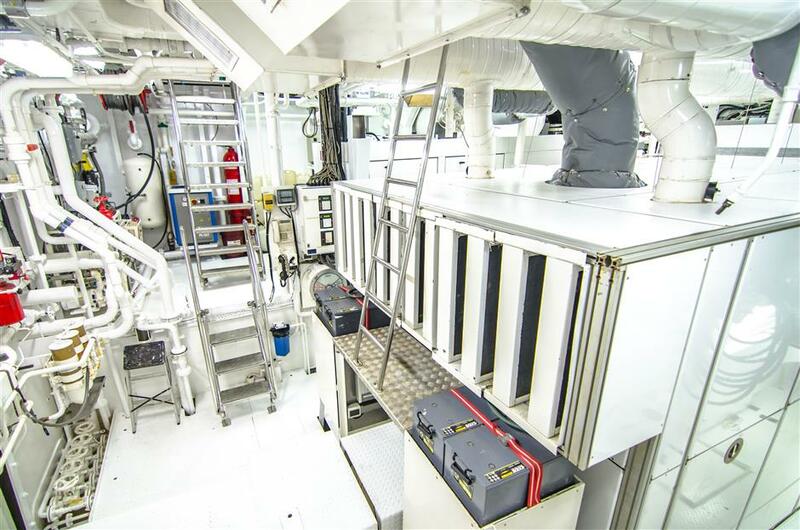 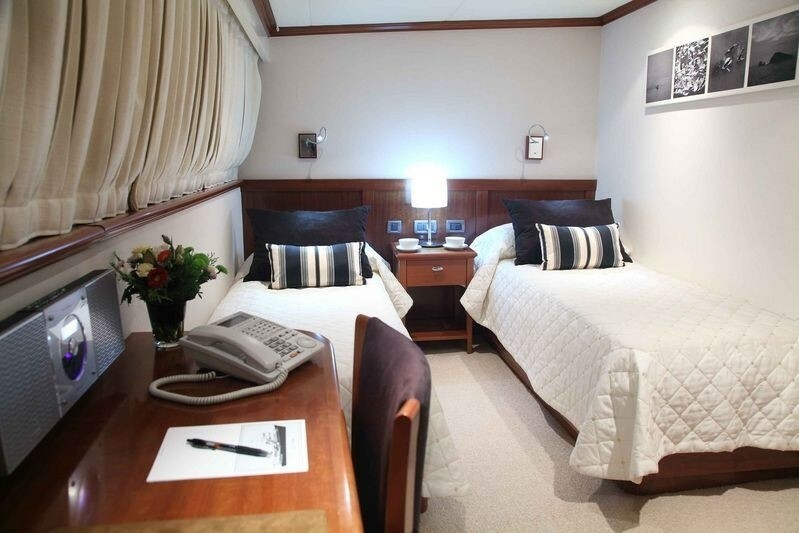 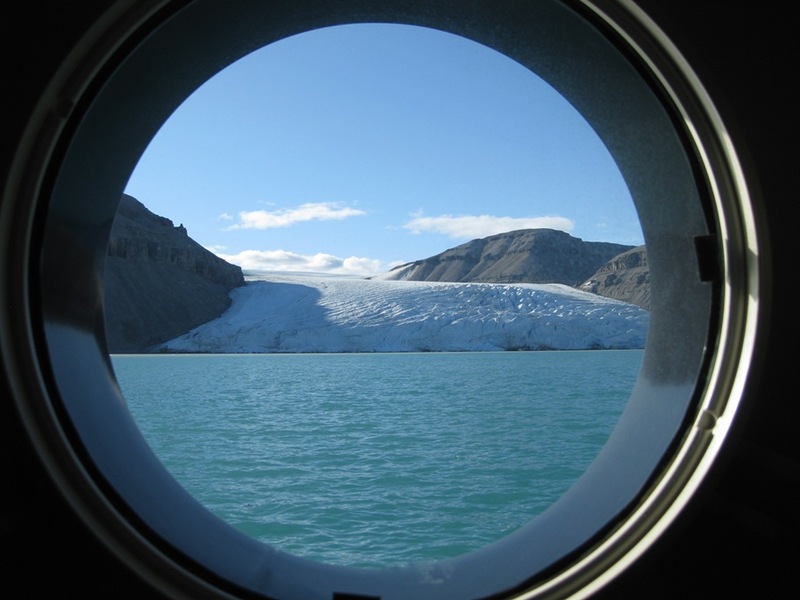 On the main deck, the remaining five cabins are four double with a walk around queen size beds and one twin with two single beds; all five cabins offer a desk area and en-suite facilities. 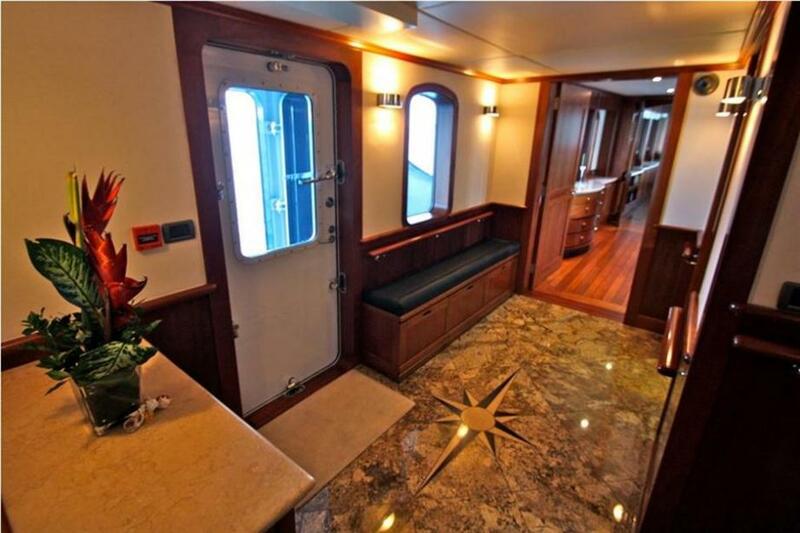 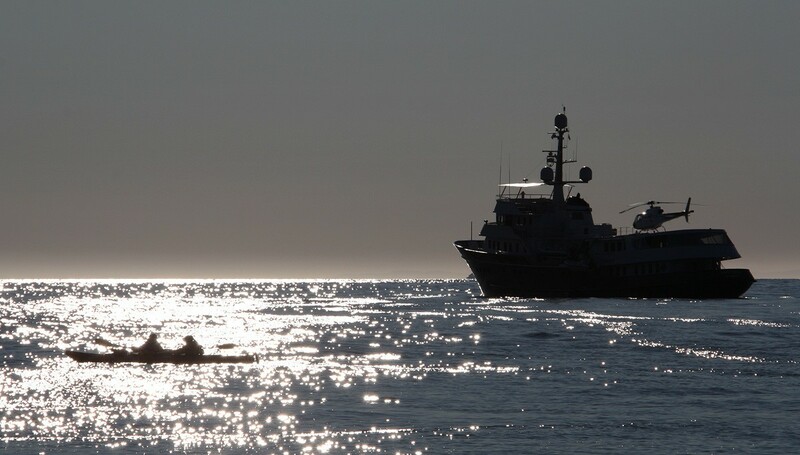 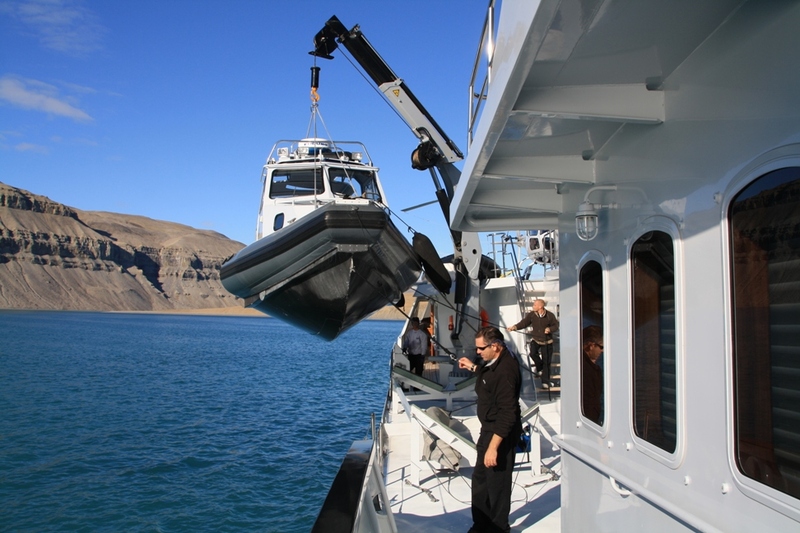 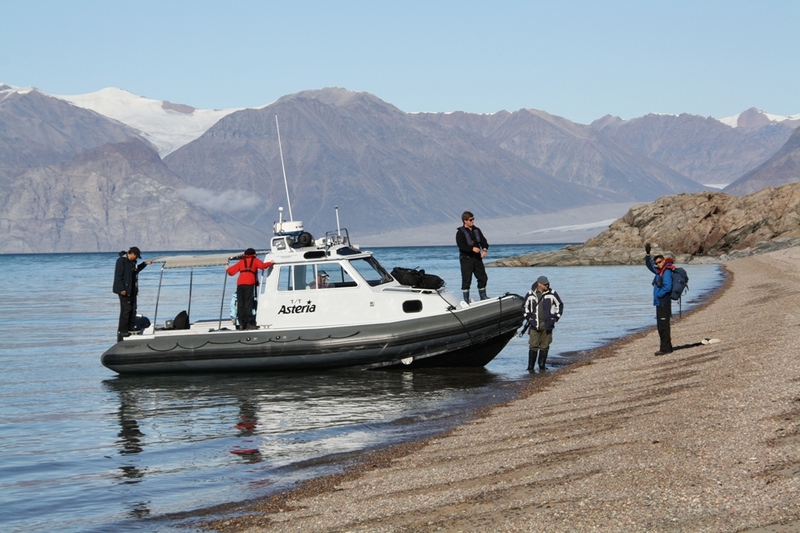 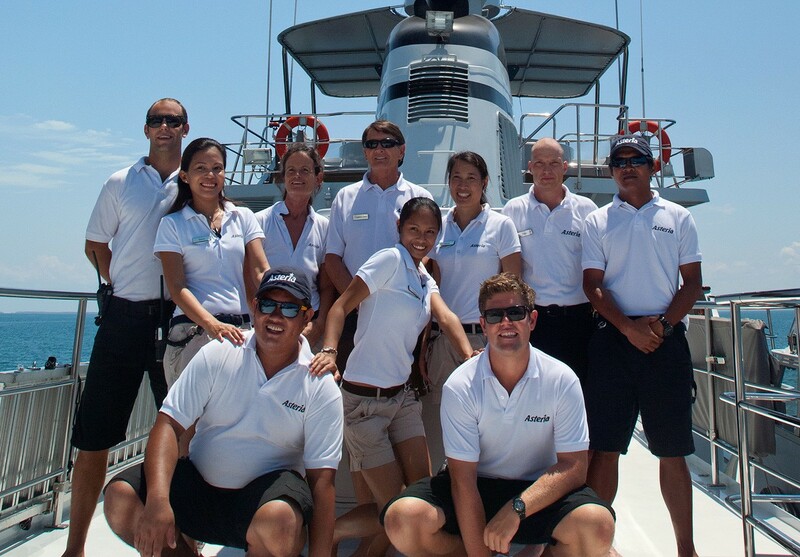 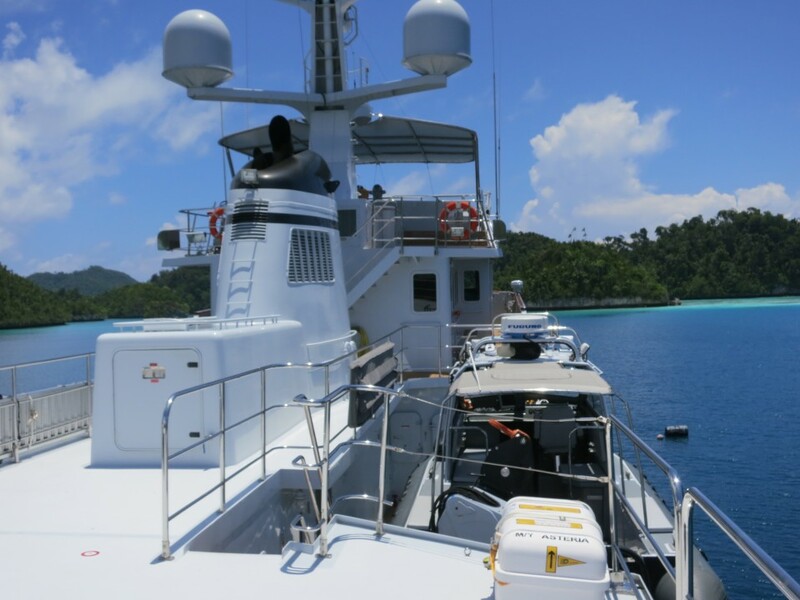 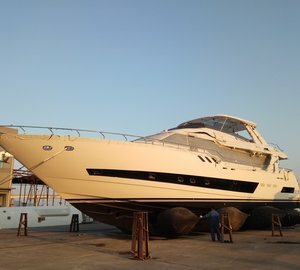 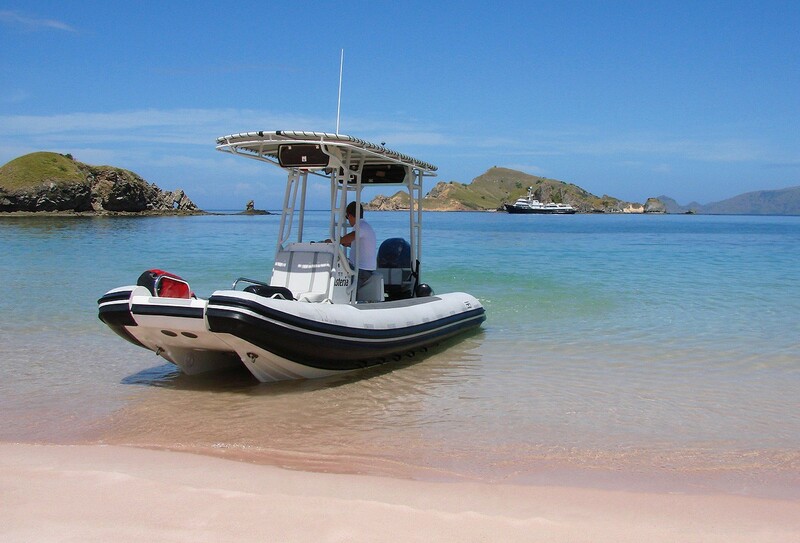 There is also plenty of room for a professional crew of 22.